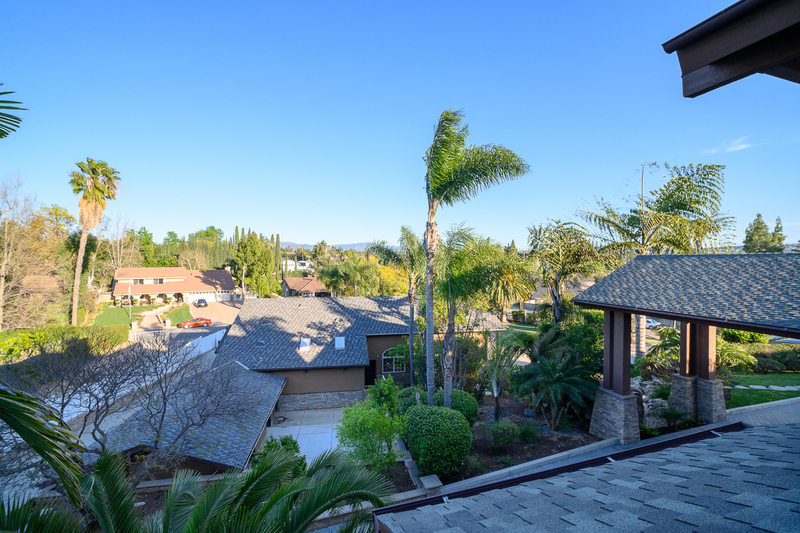 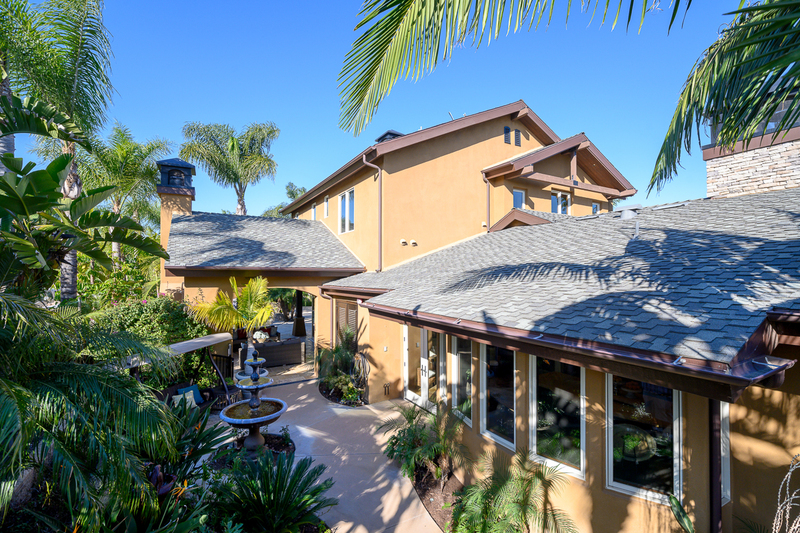 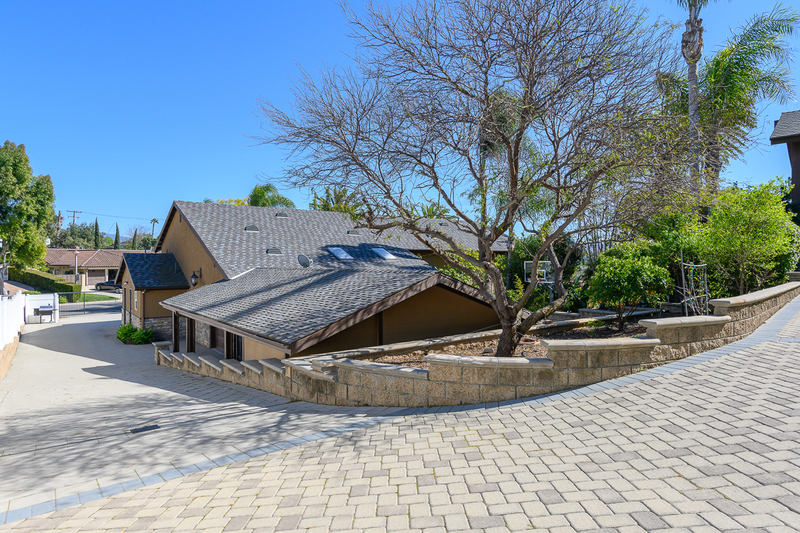 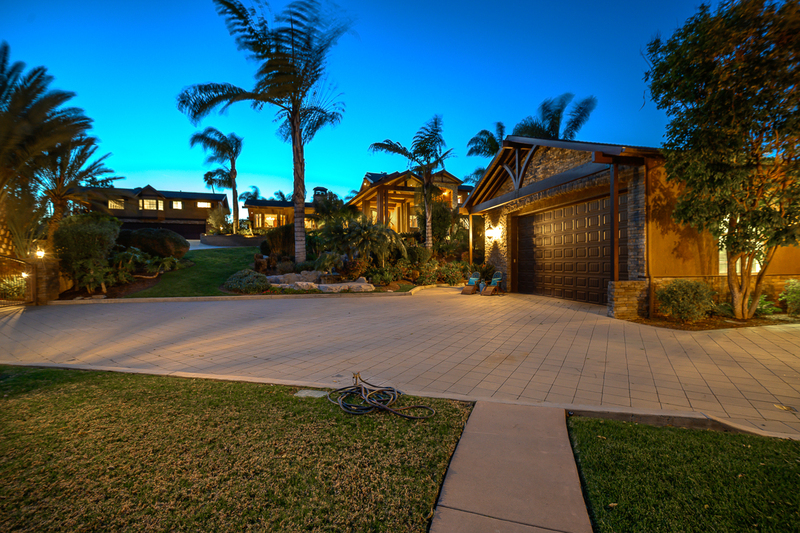 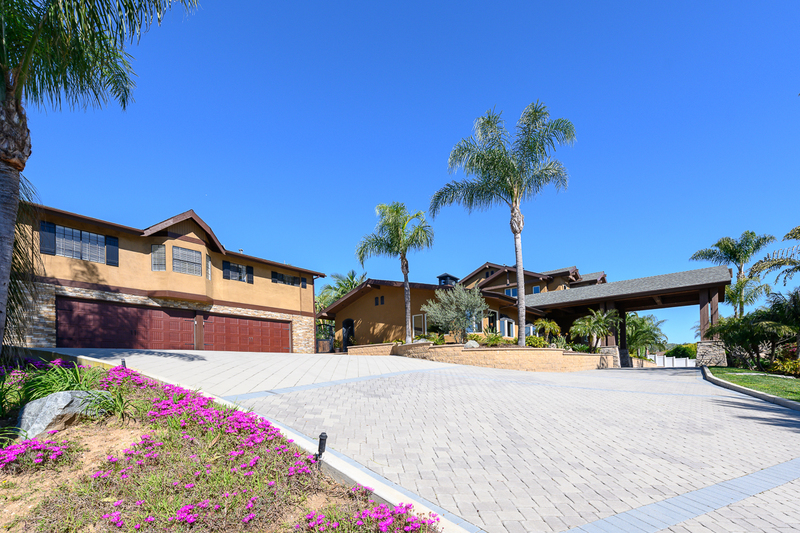 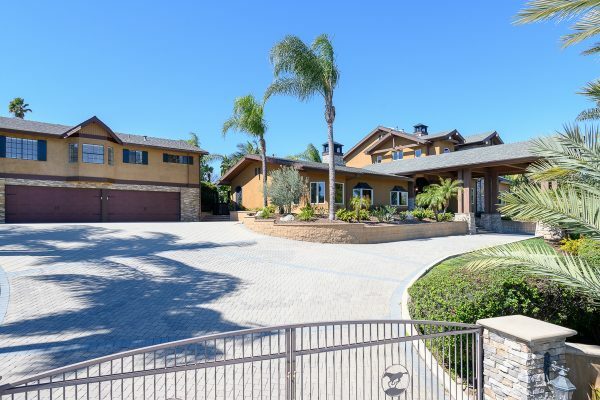 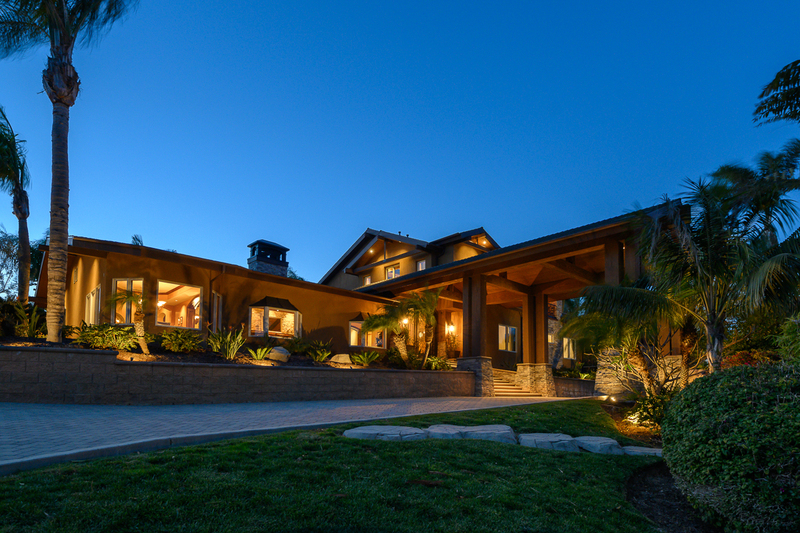 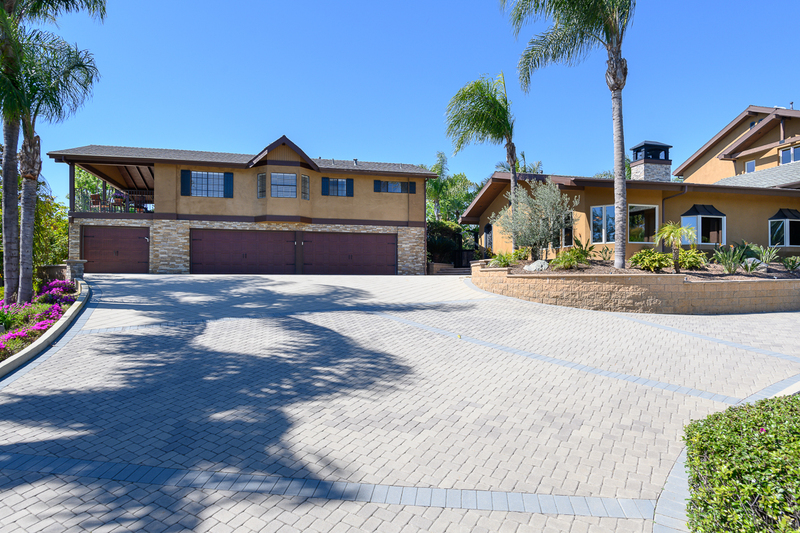 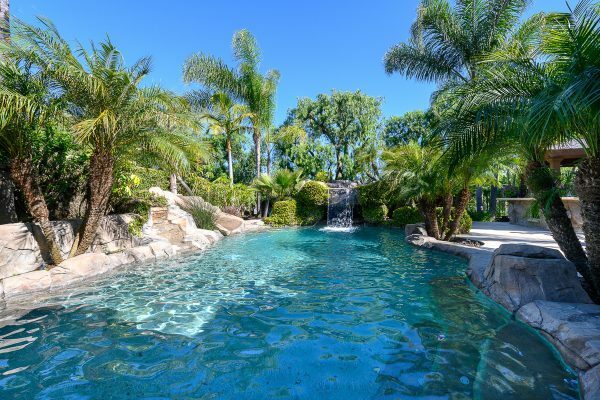 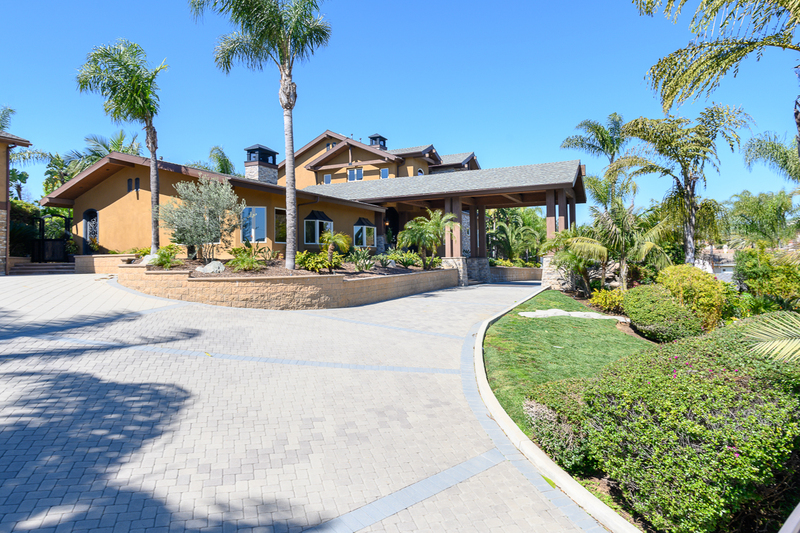 True luxury and quality of life awaits you with this one of a kind estate. 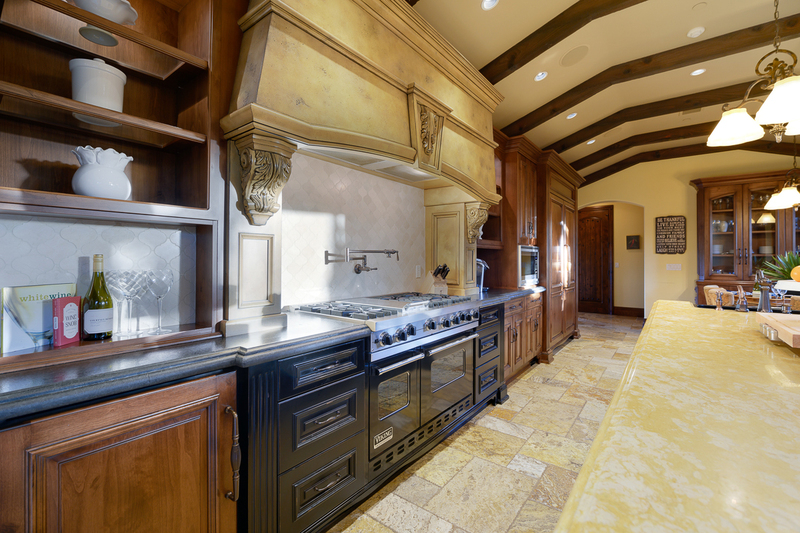 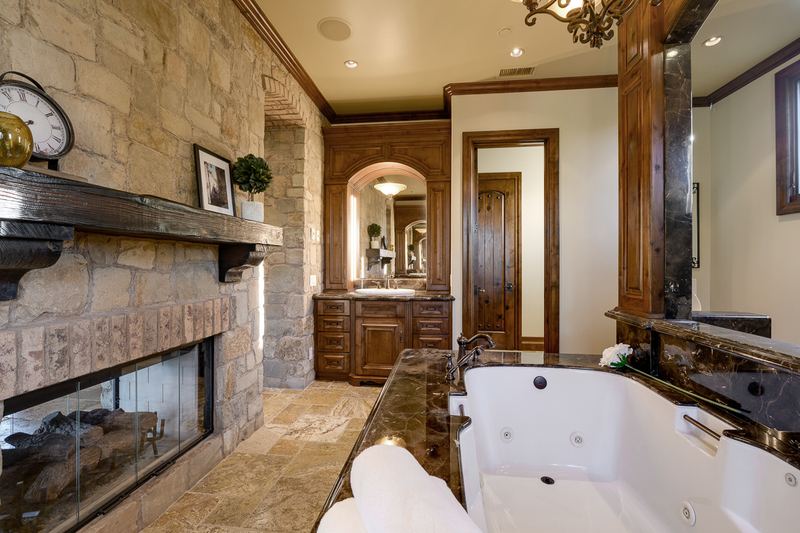 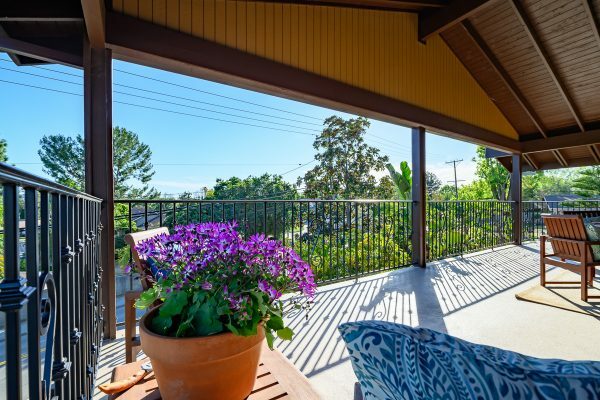 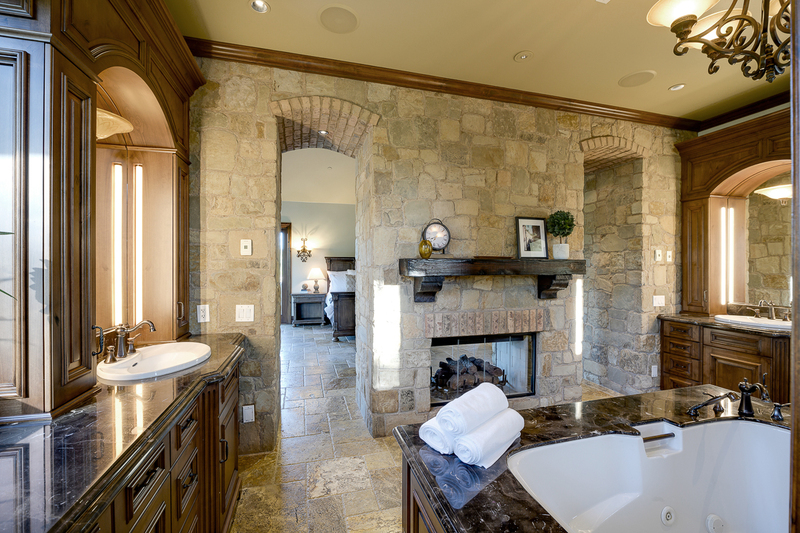 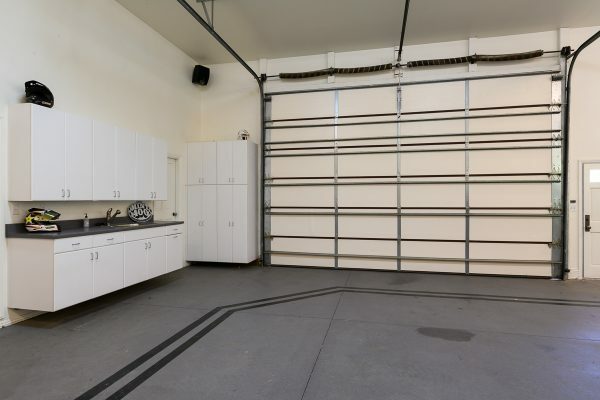 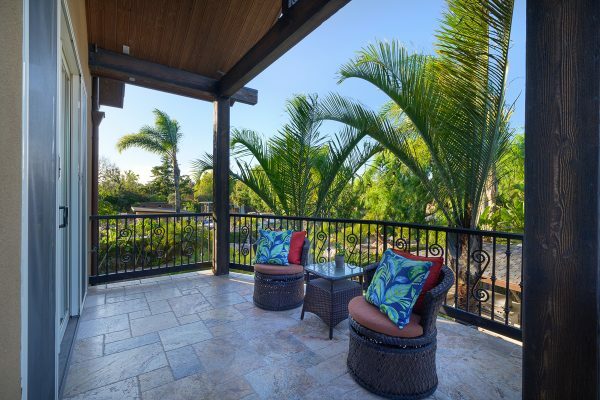 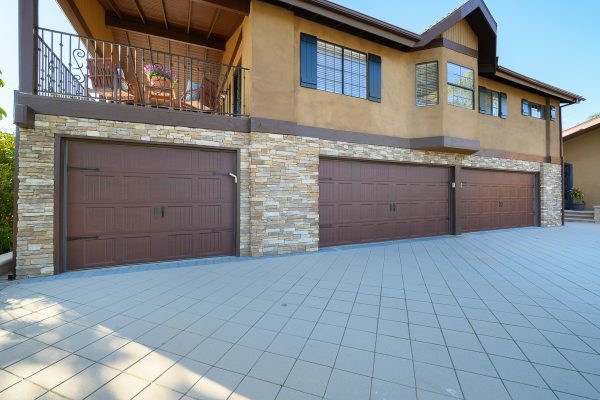 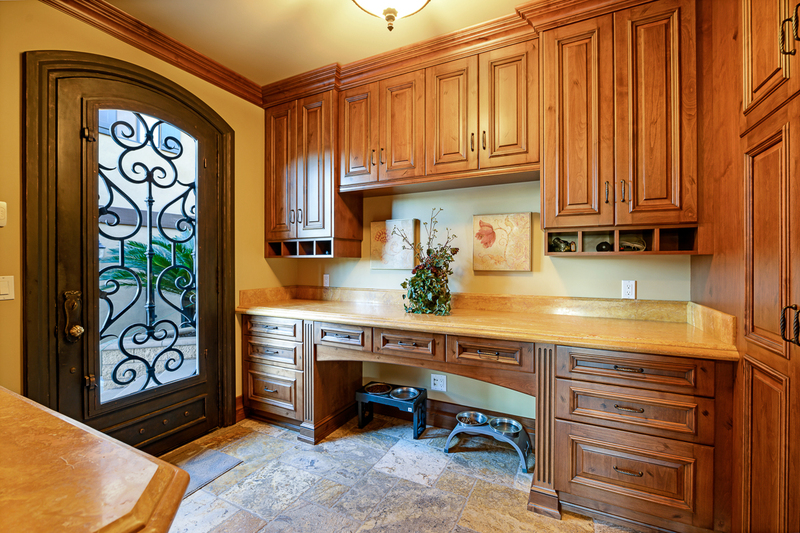 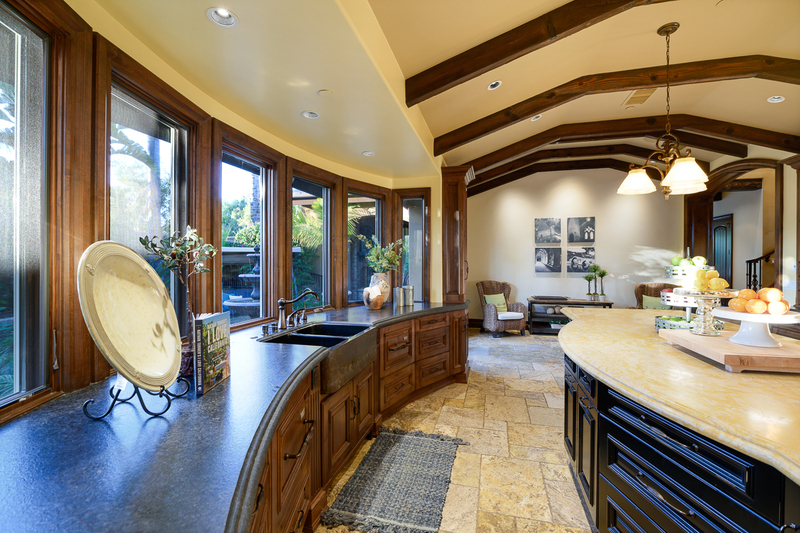 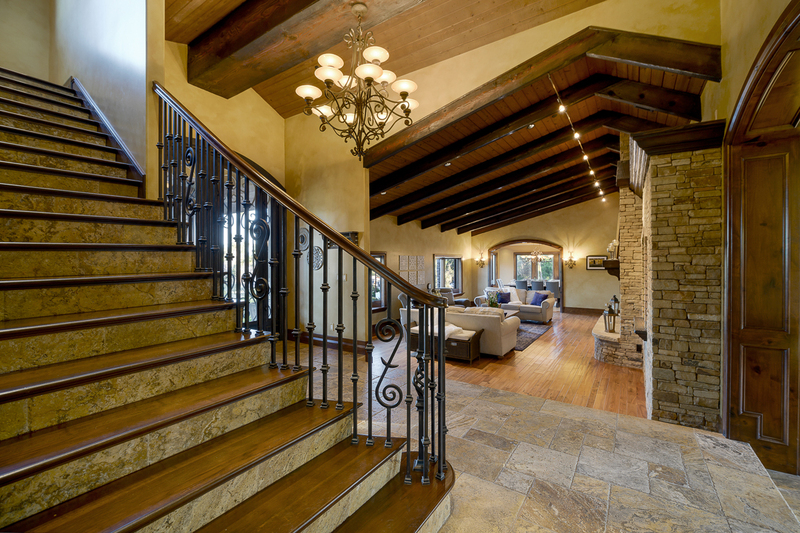 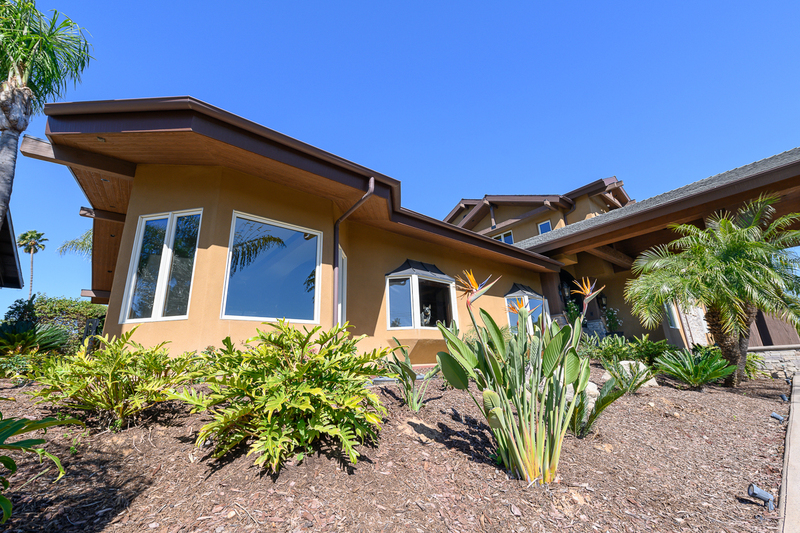 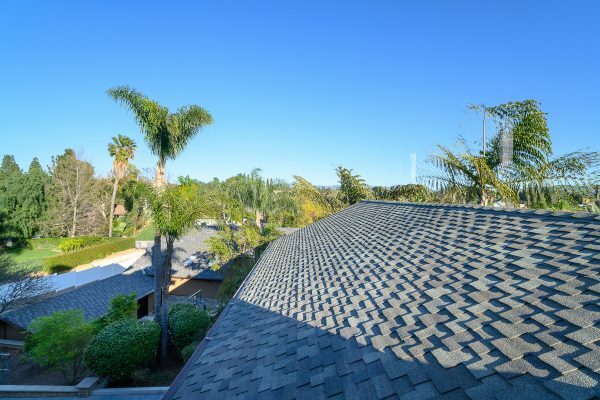 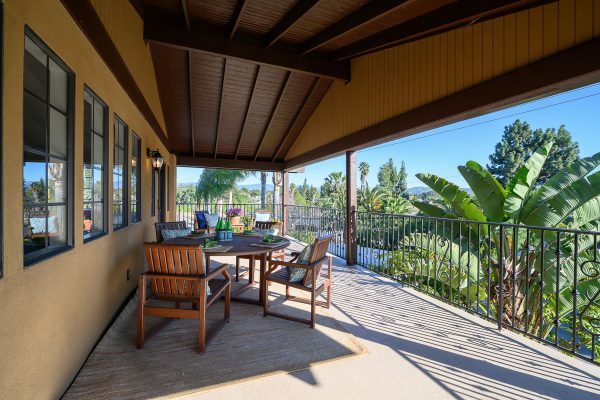 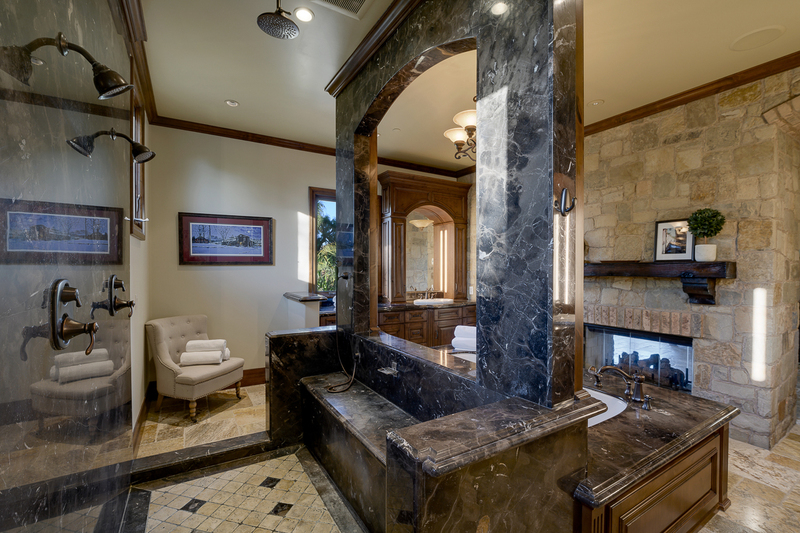 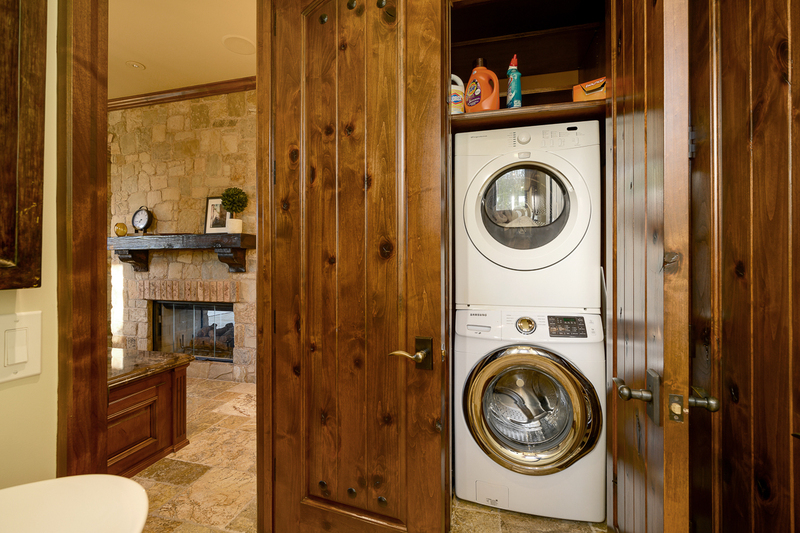 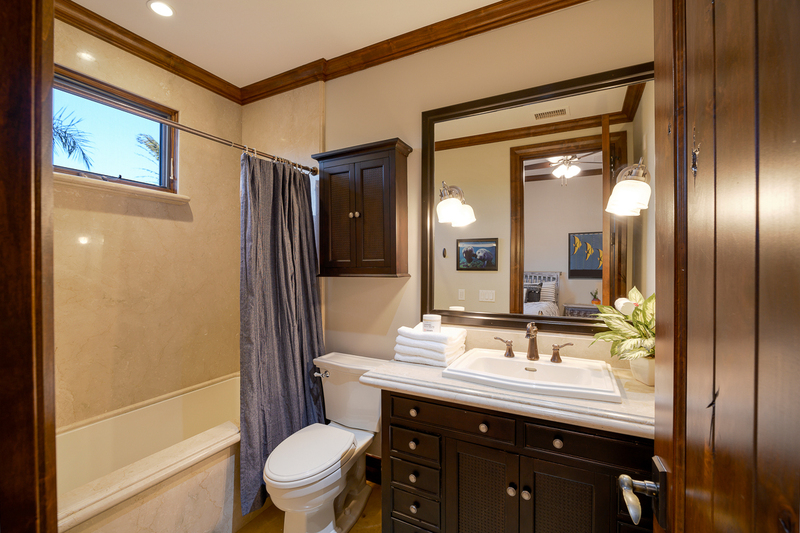 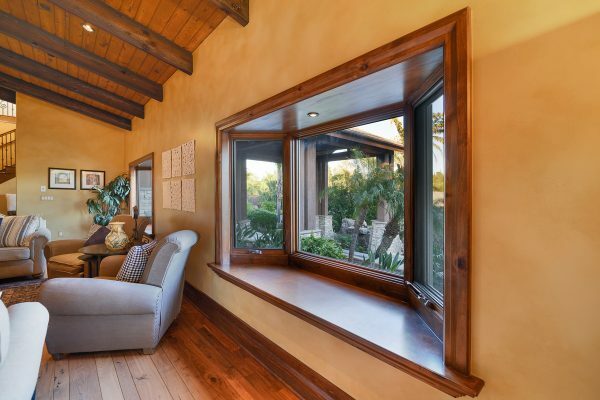 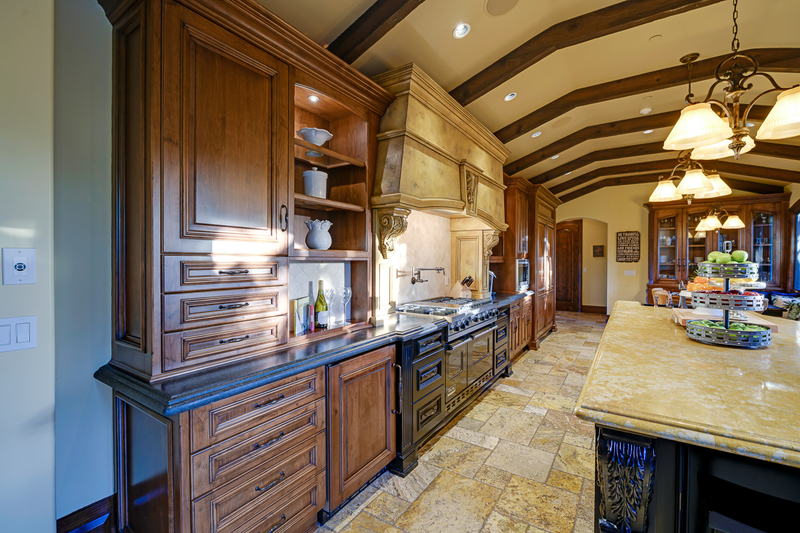 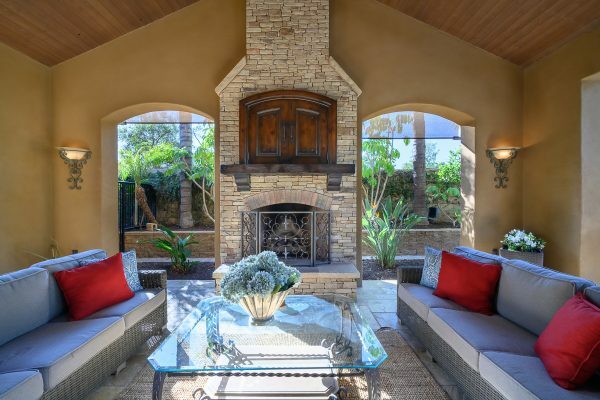 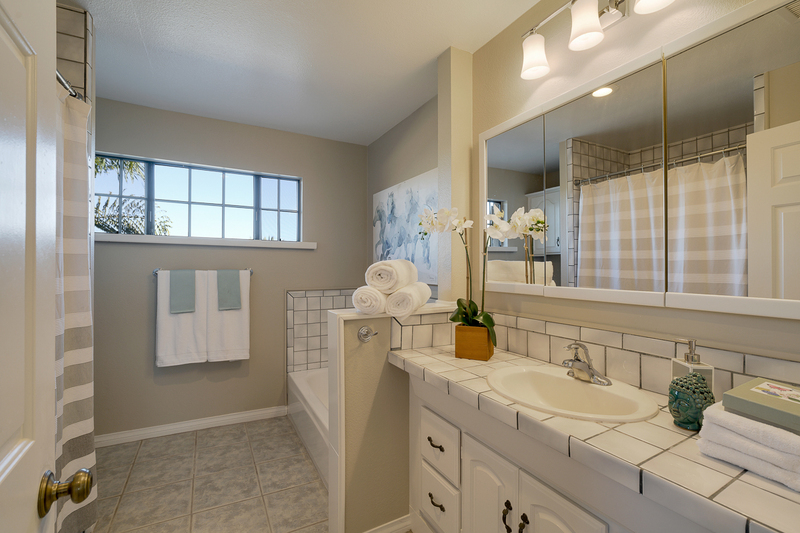 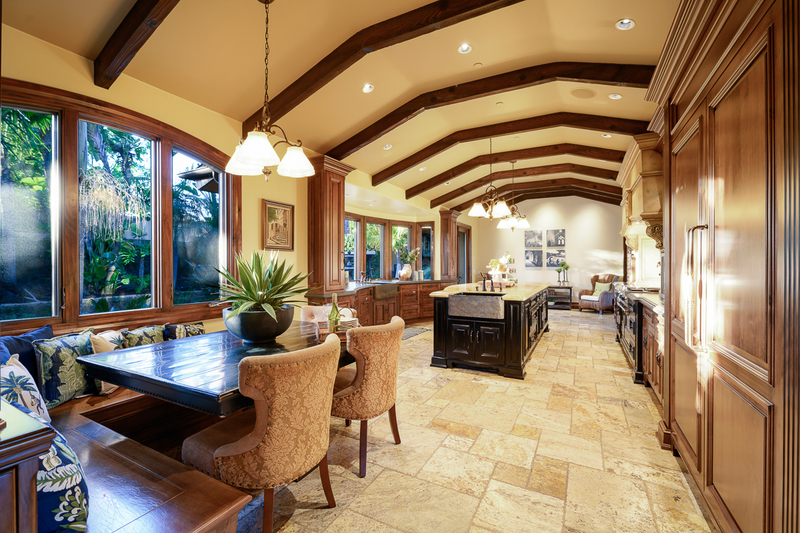 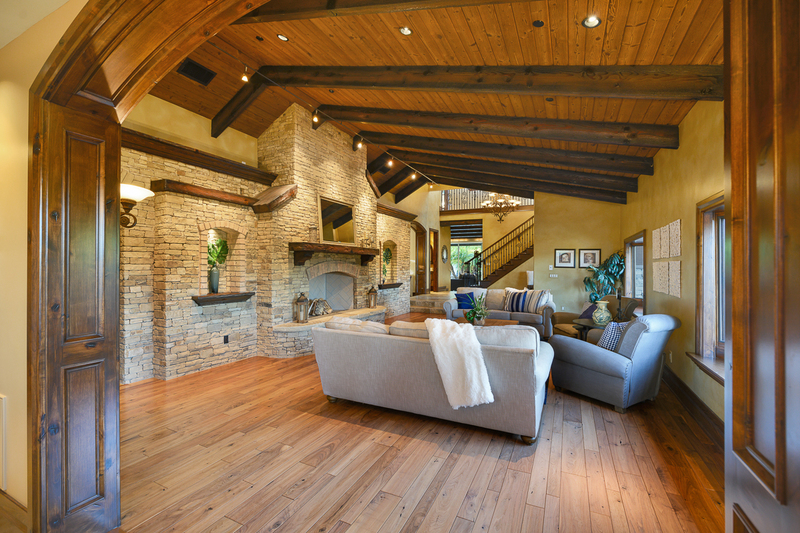 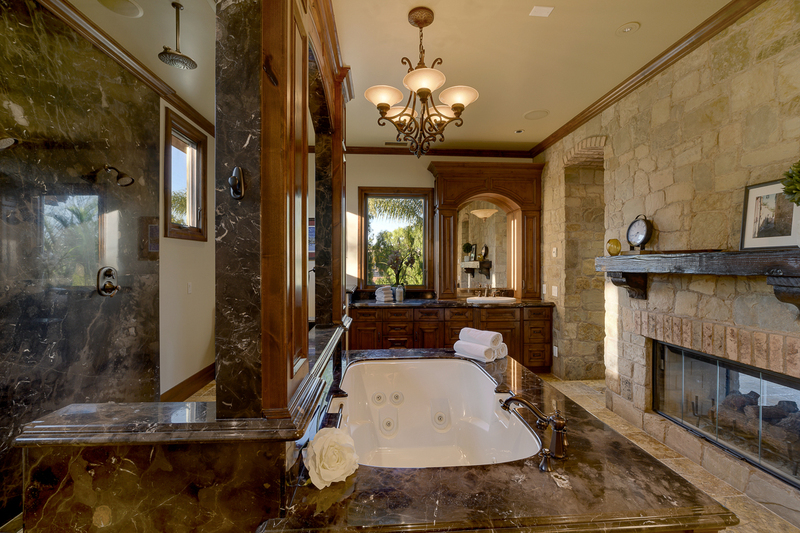 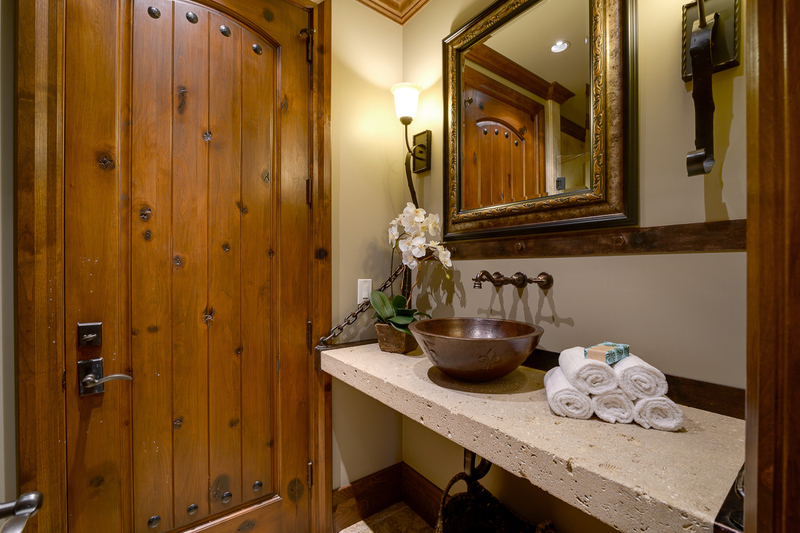 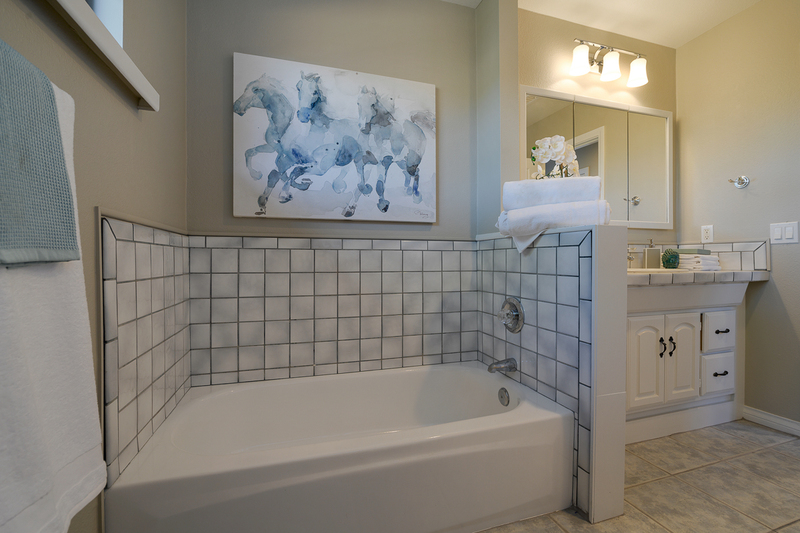 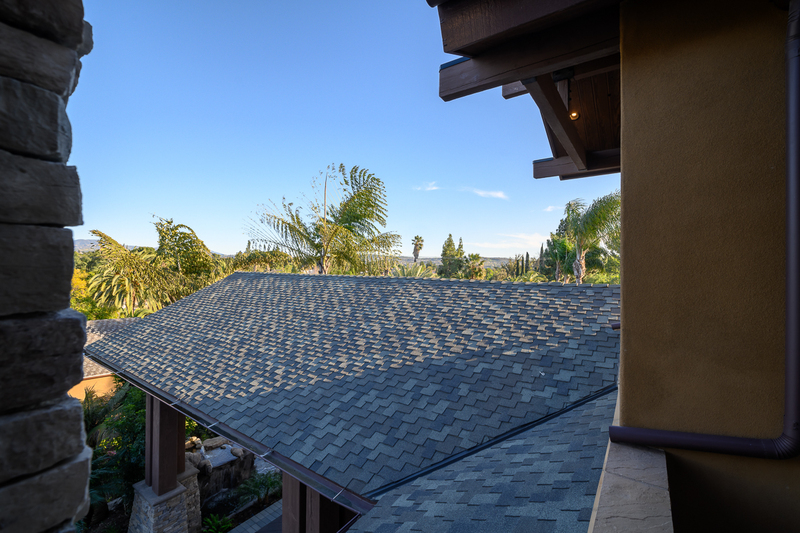 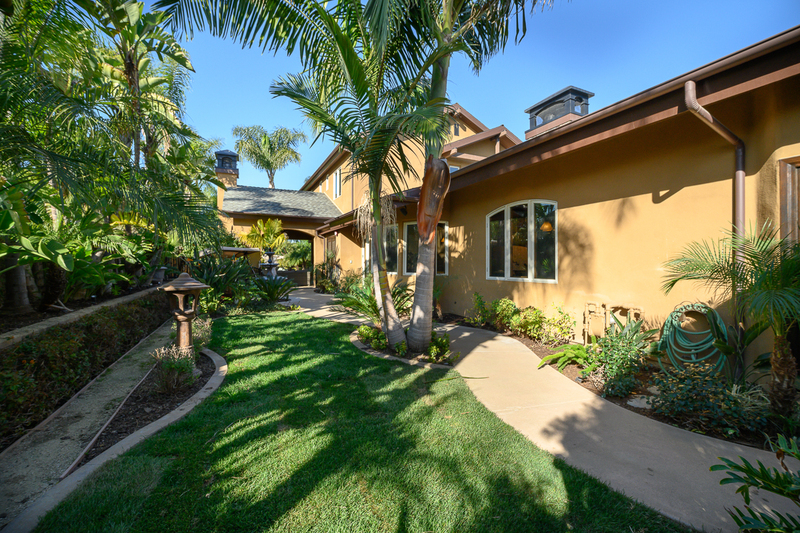 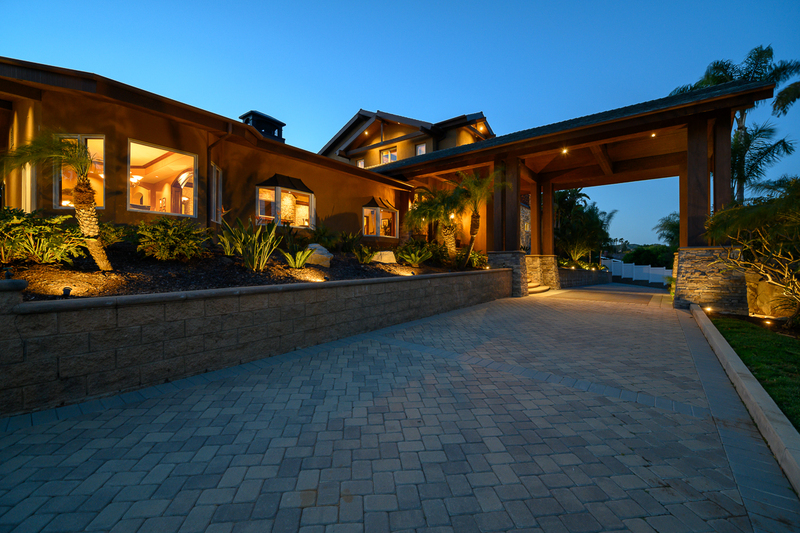 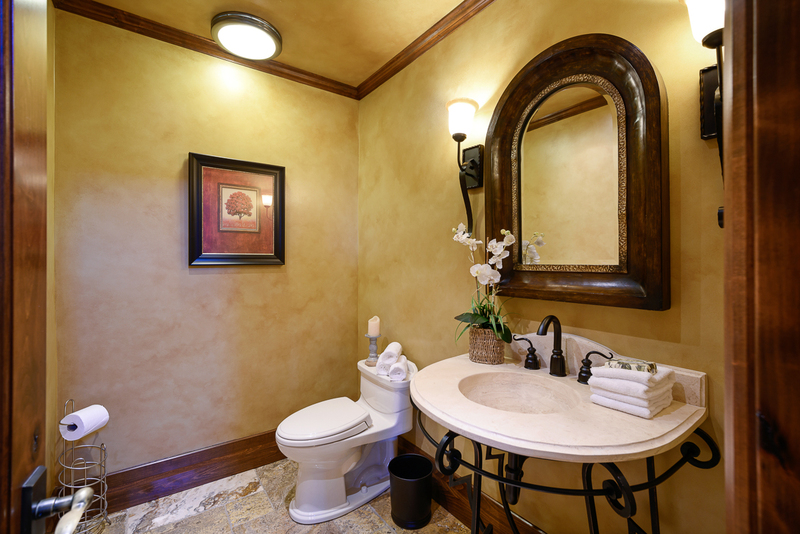 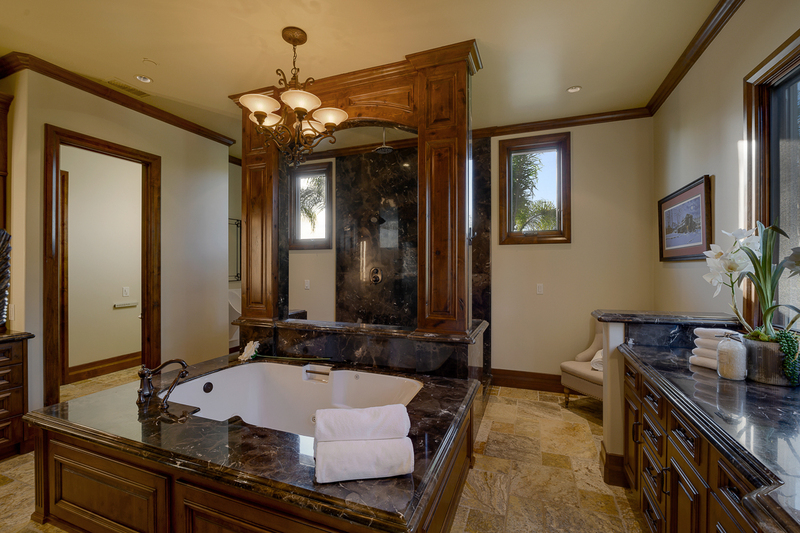 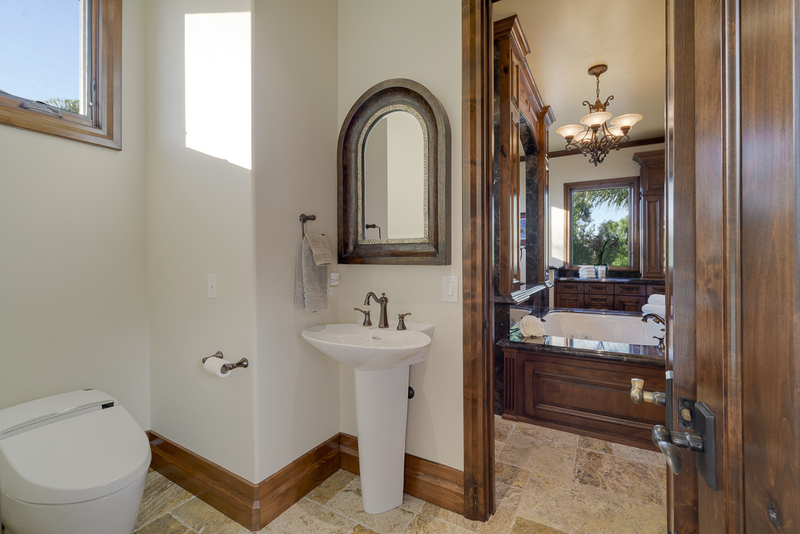 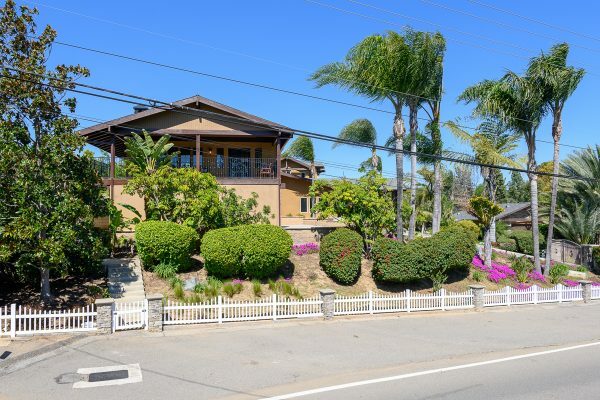 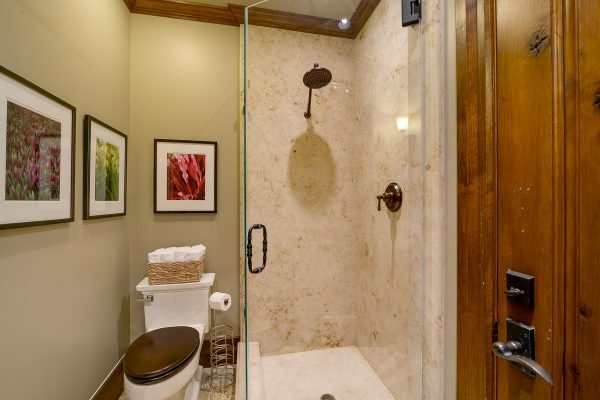 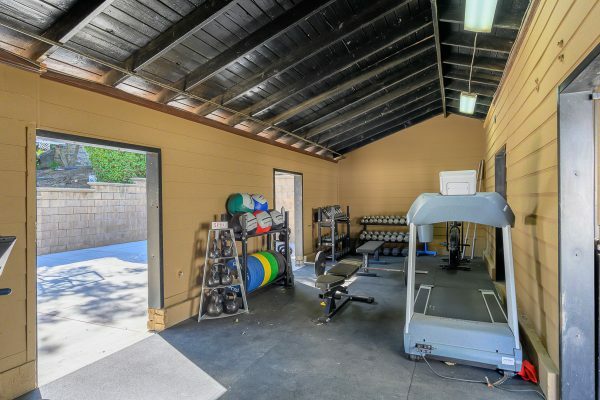 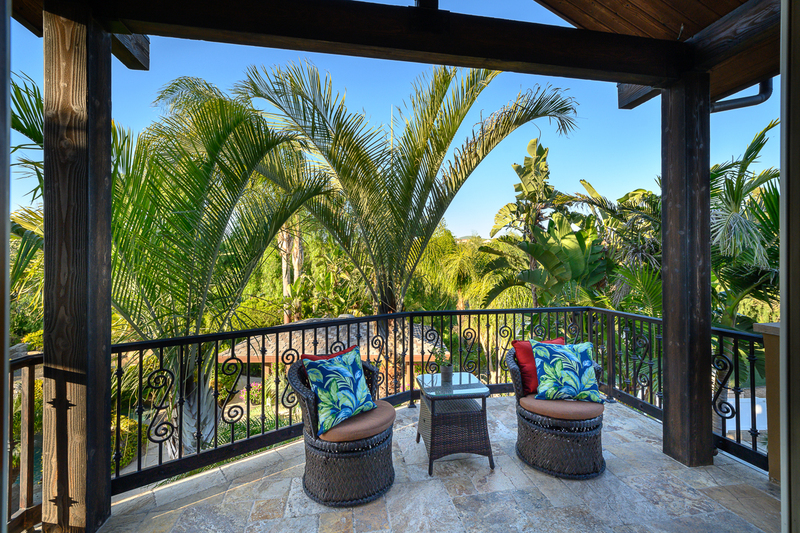 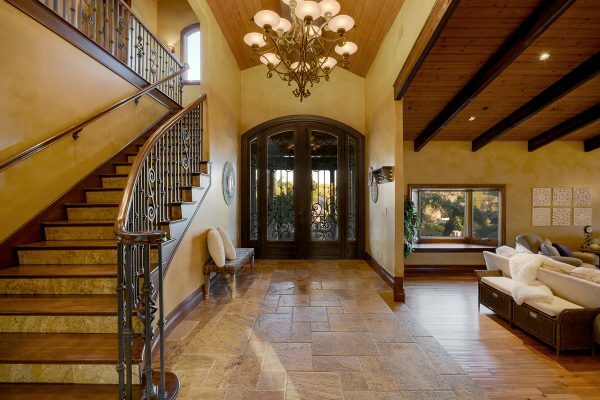 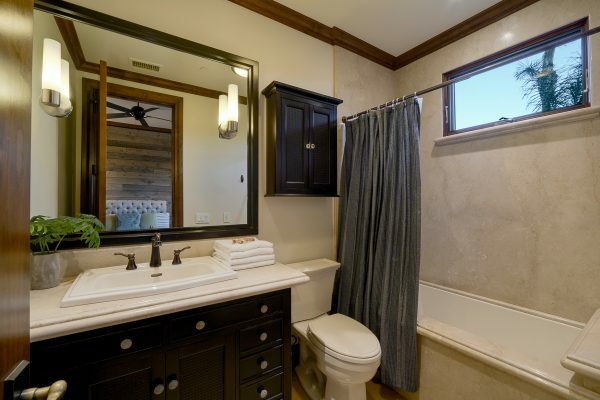 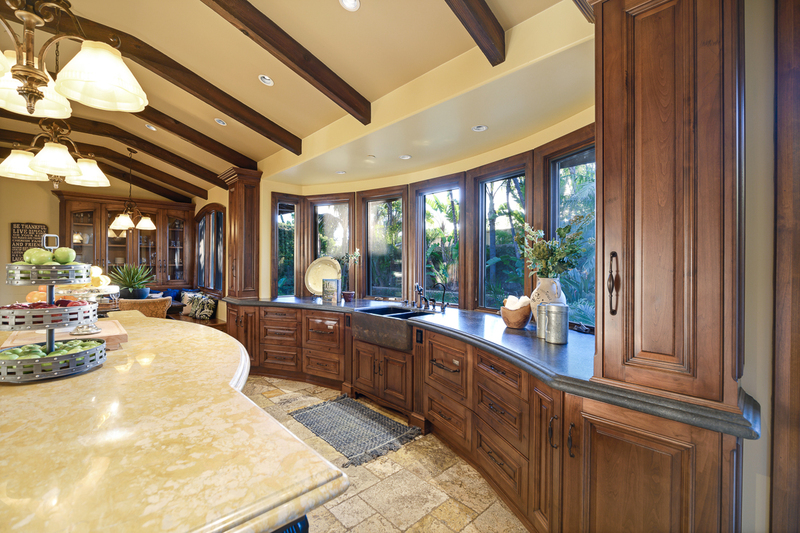 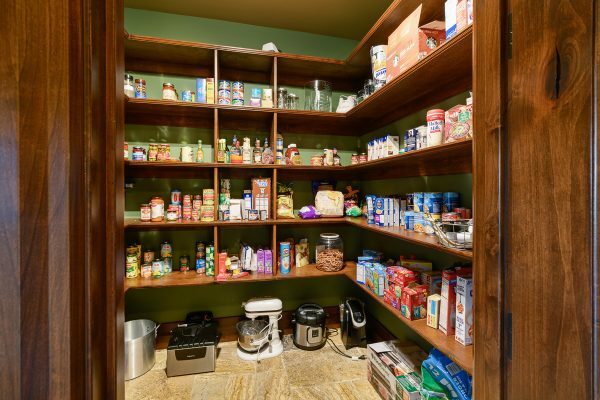 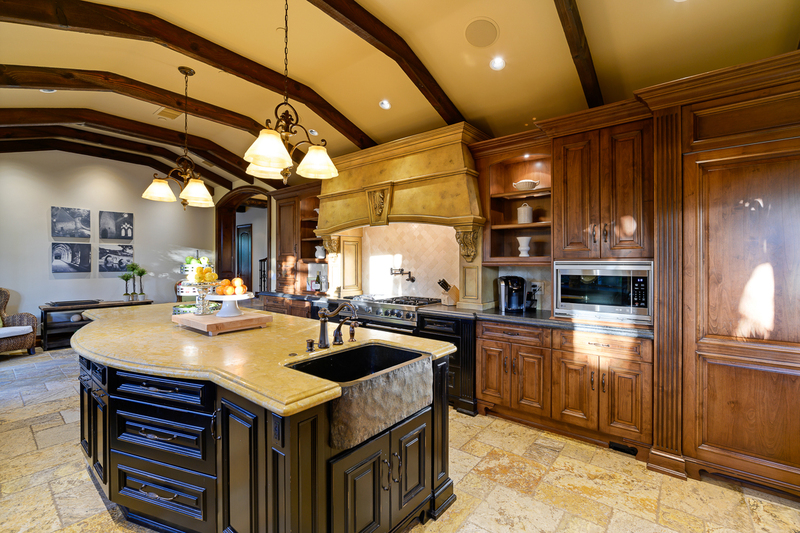 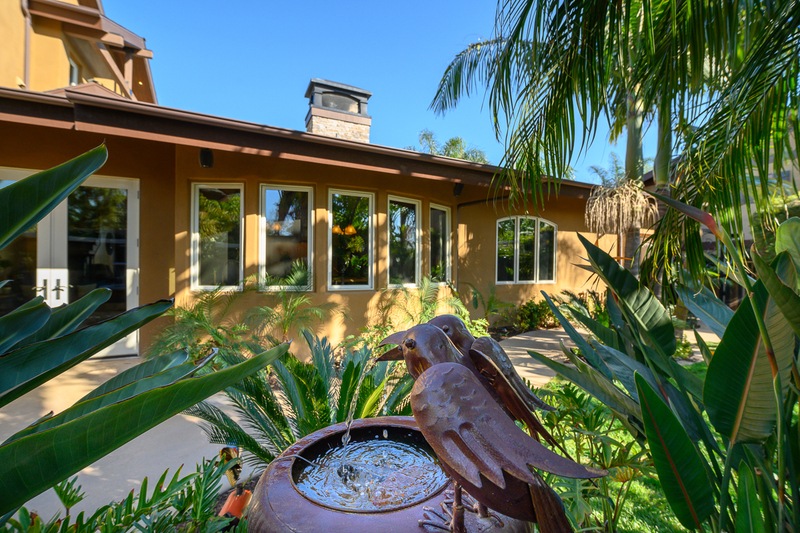 The exquisite amenities and craftsman touches of this home are beyond compare. 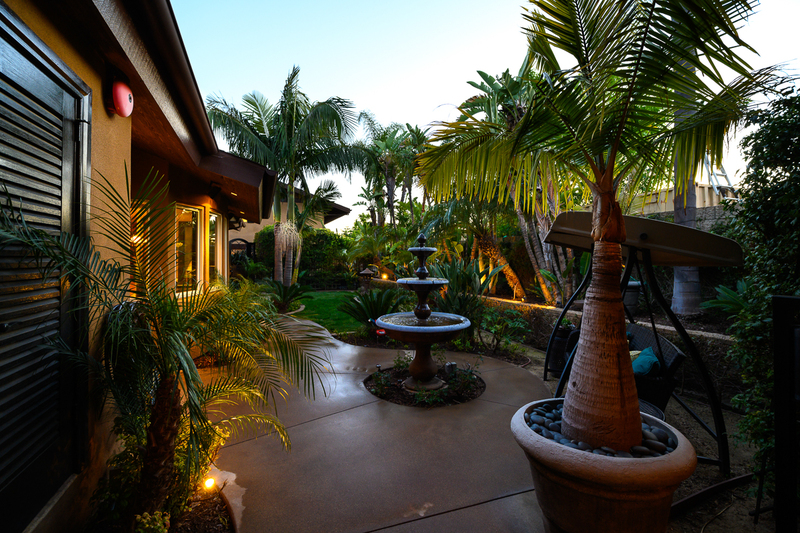 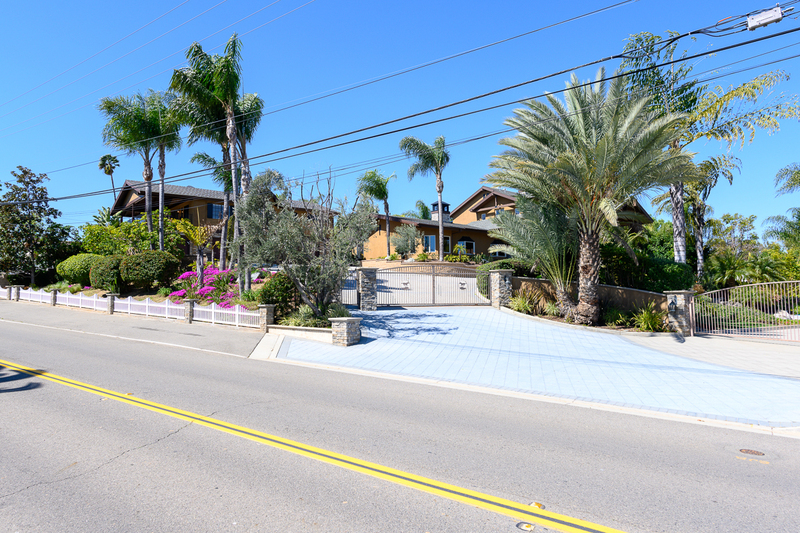 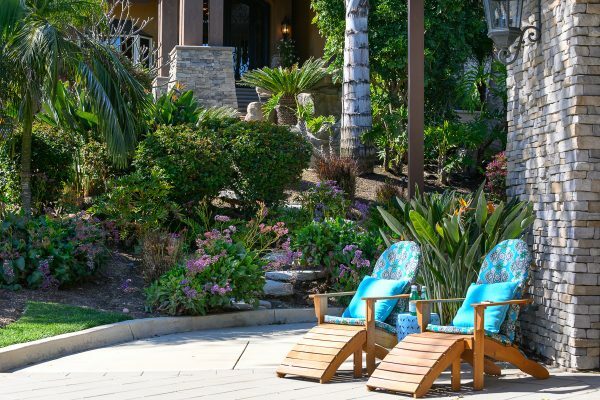 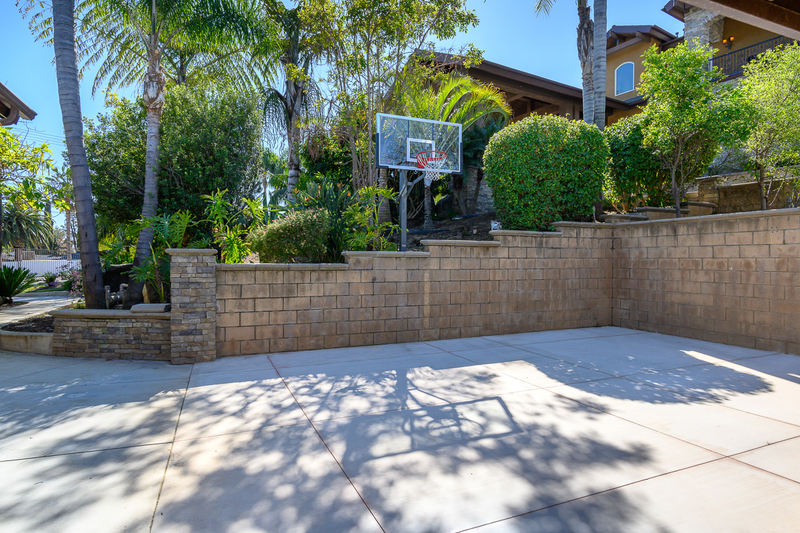 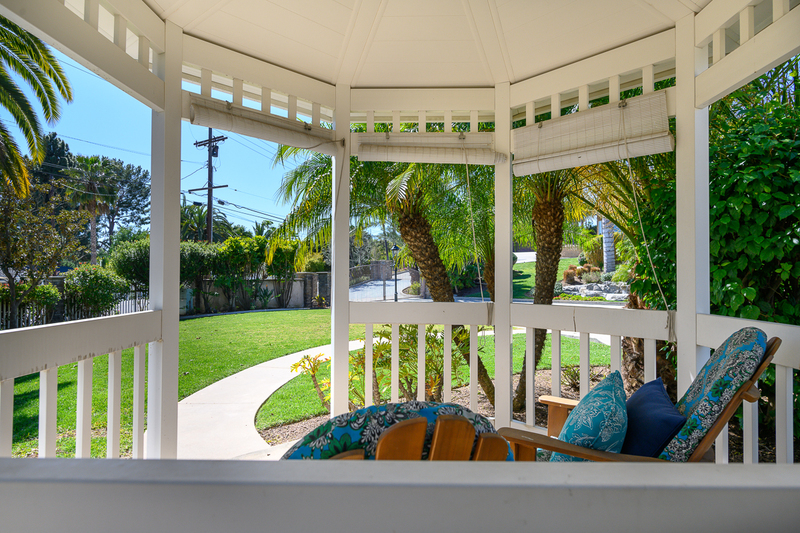 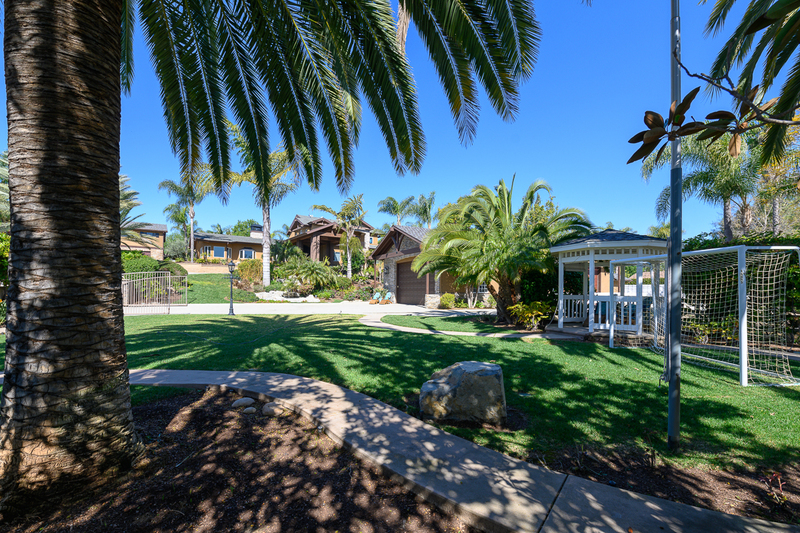 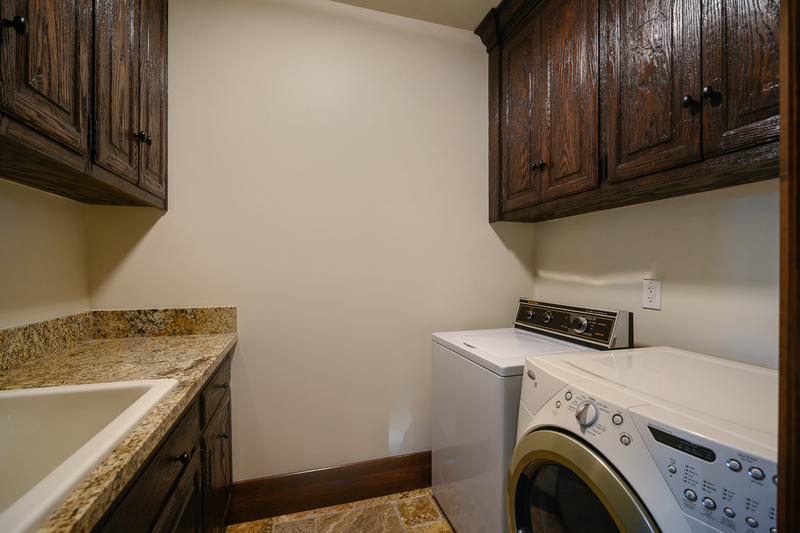 The expansive grounds have room for whatever your needs require and your heart desires. 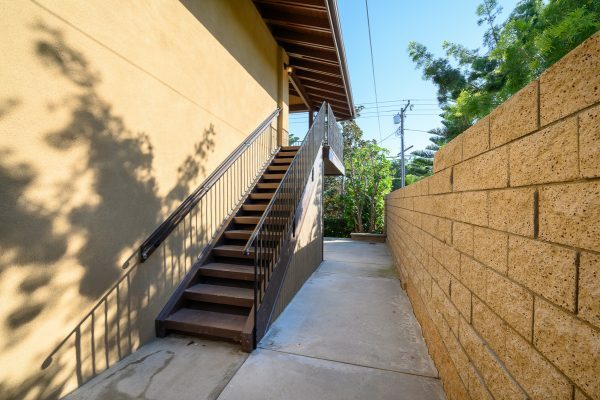 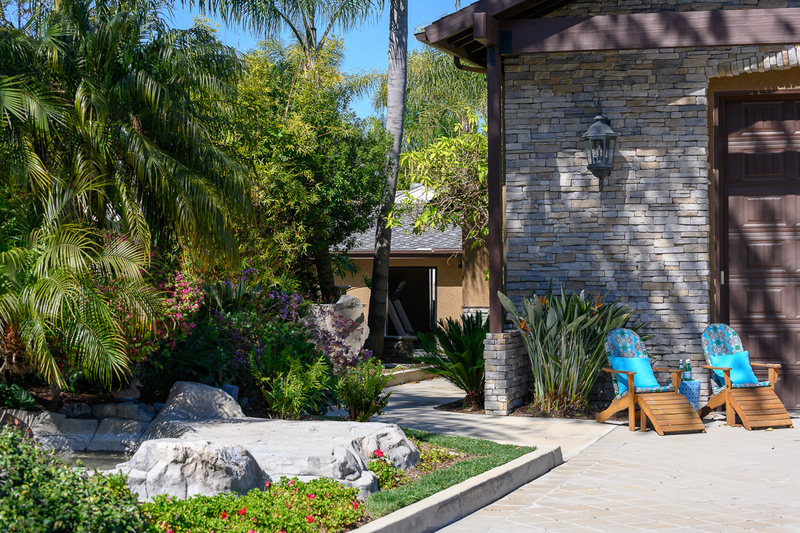 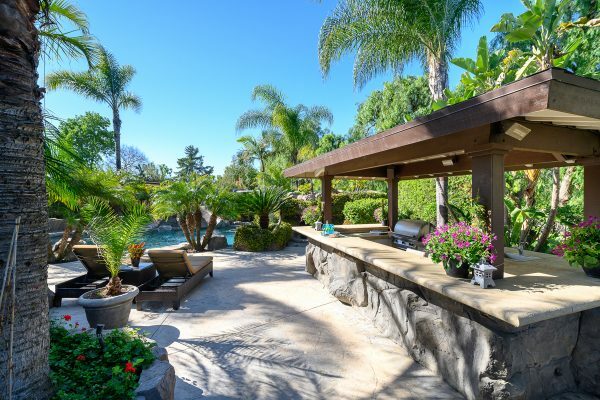 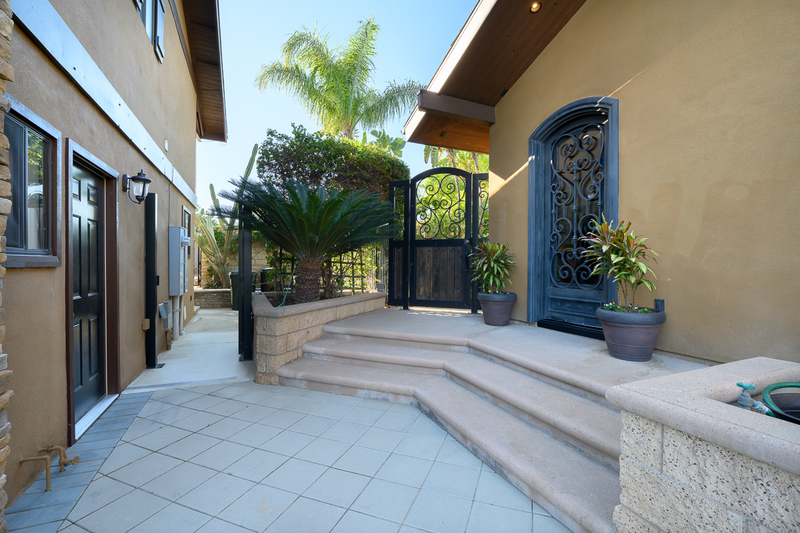 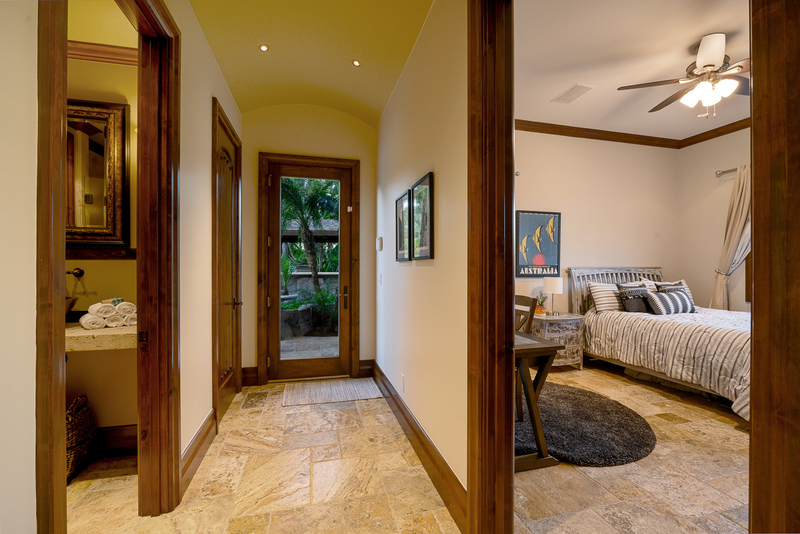 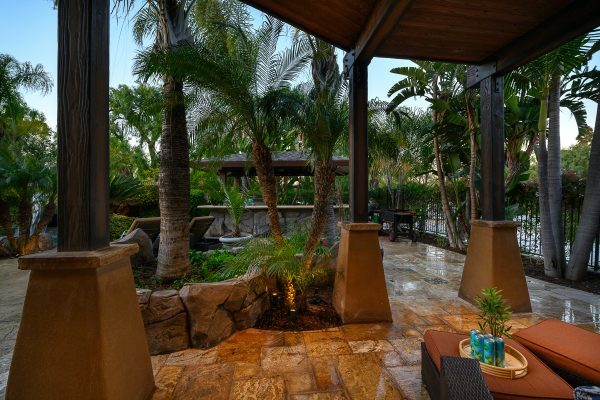 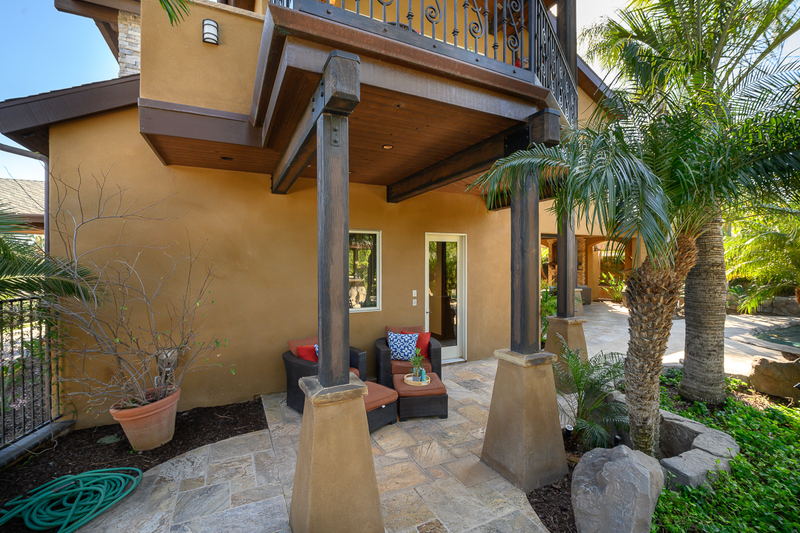 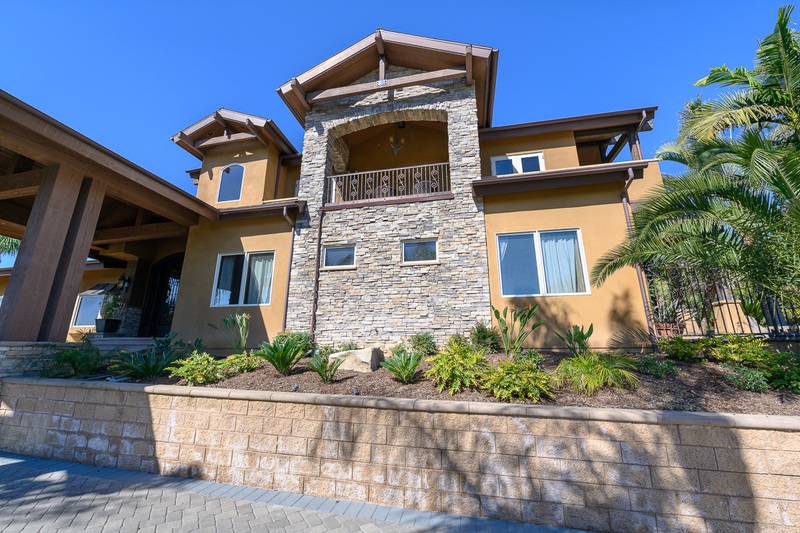 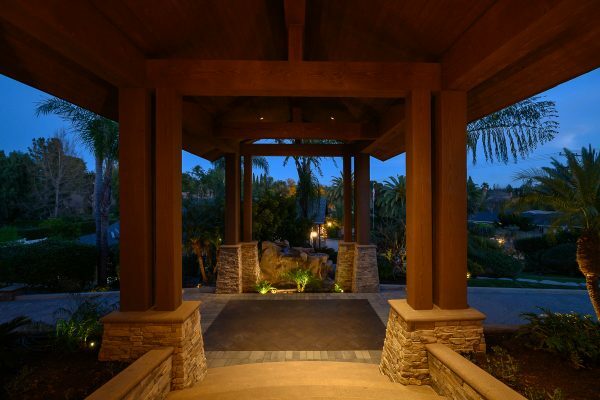 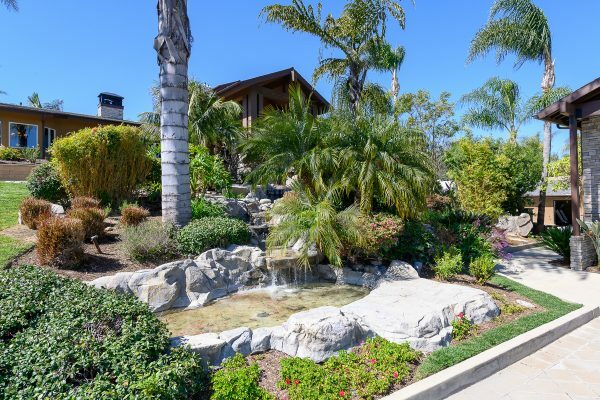 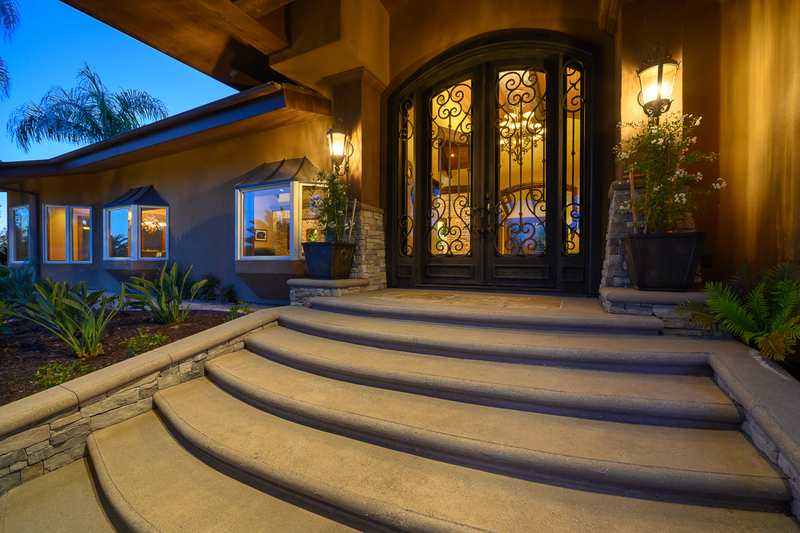 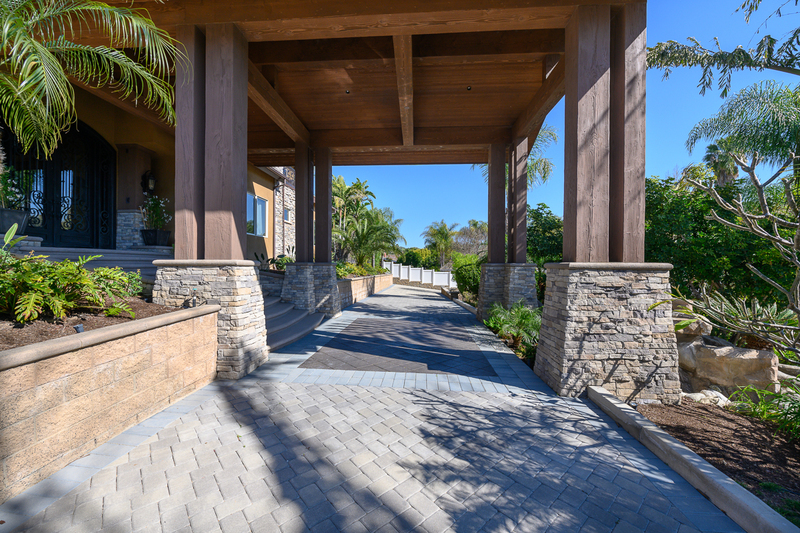 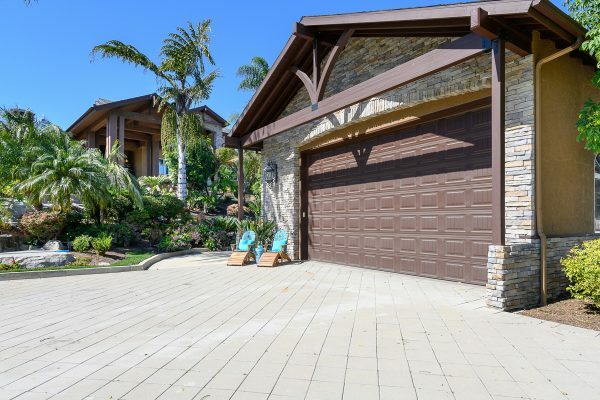 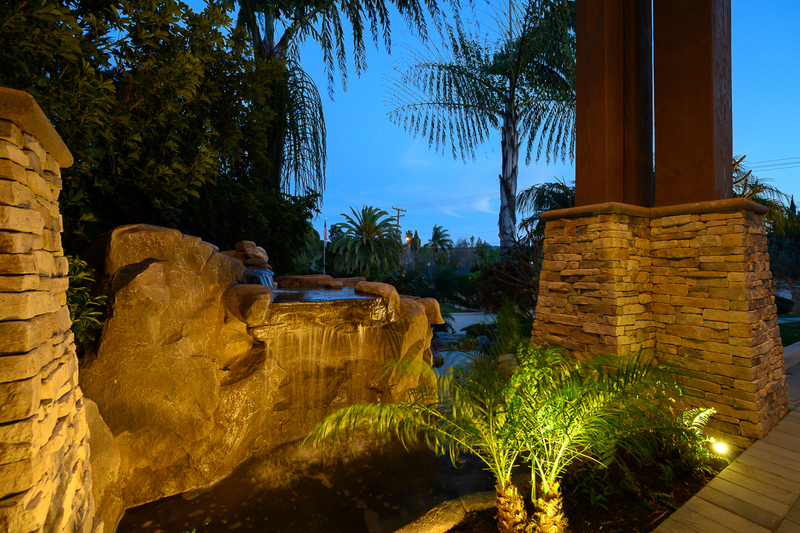 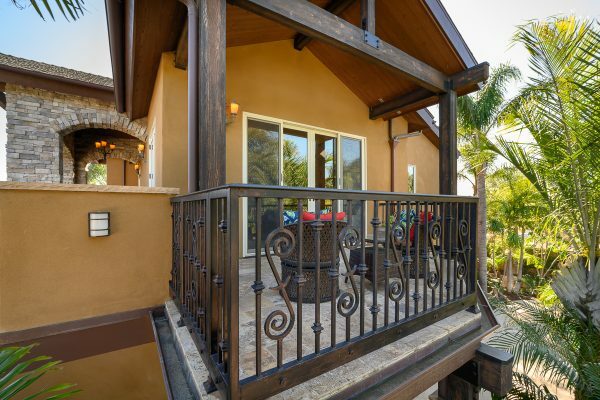 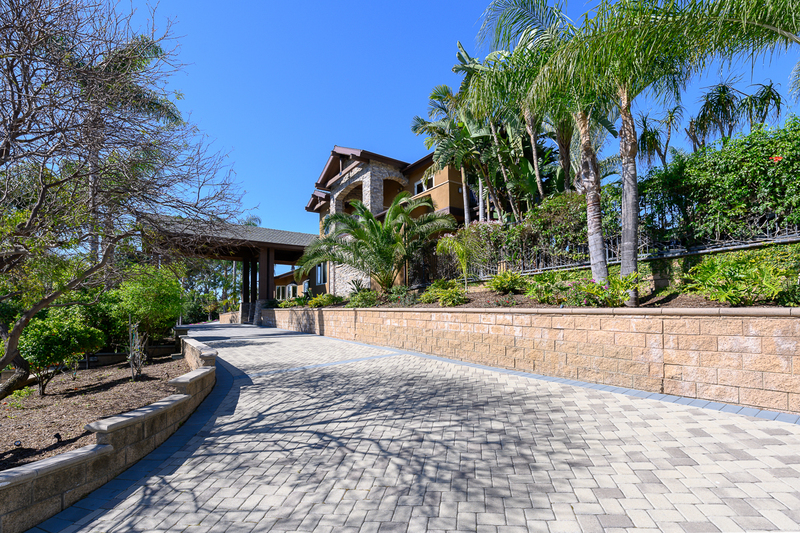 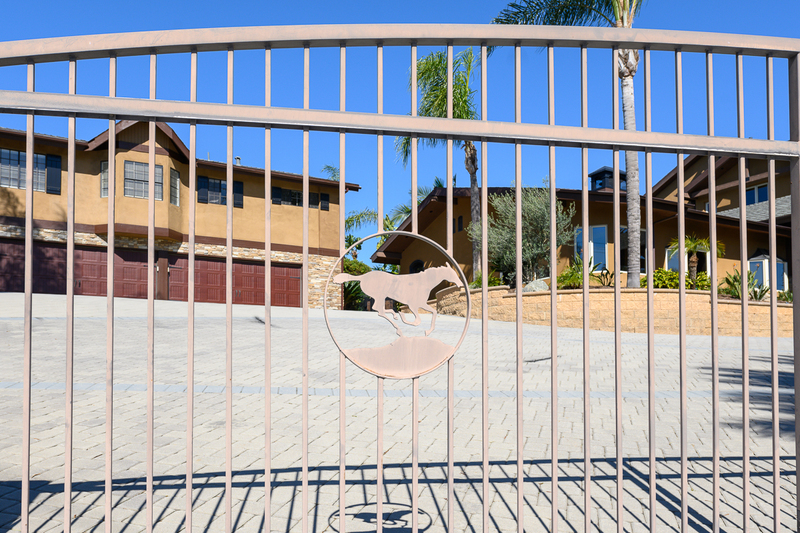 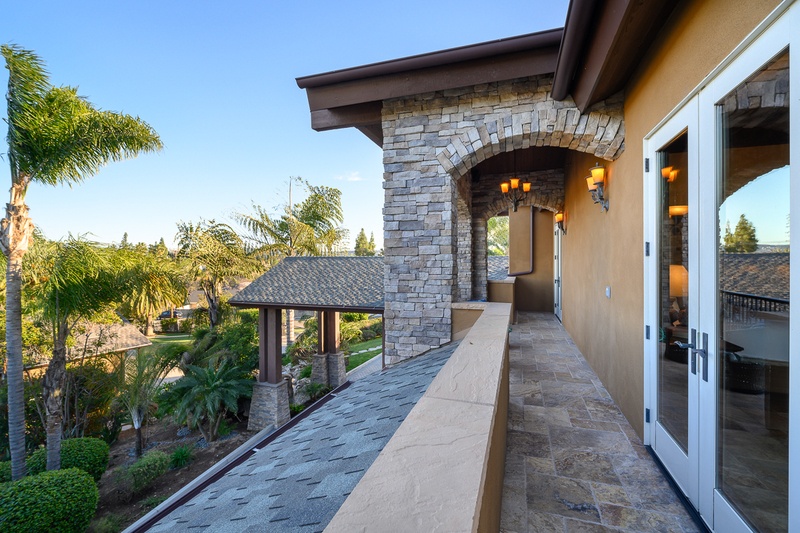 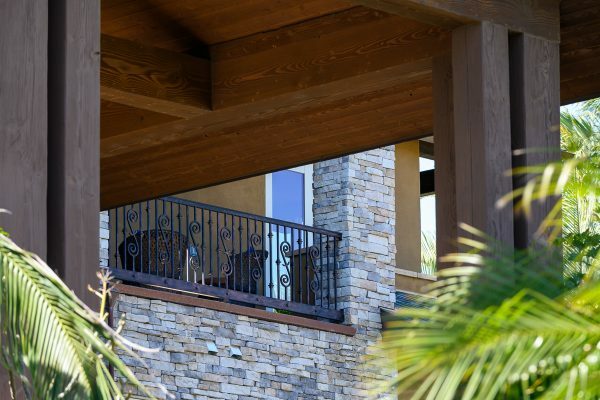 Enter through the electric gate into the porte-cochere to be greeted by your own waterfall to one side and grand stairs leading to the ten foot tall wrought iron double entry doors on the other side. 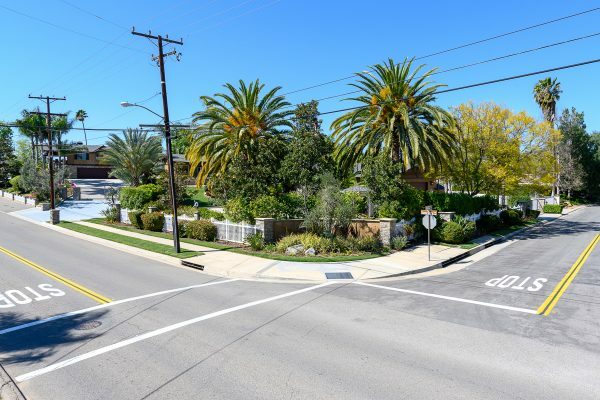 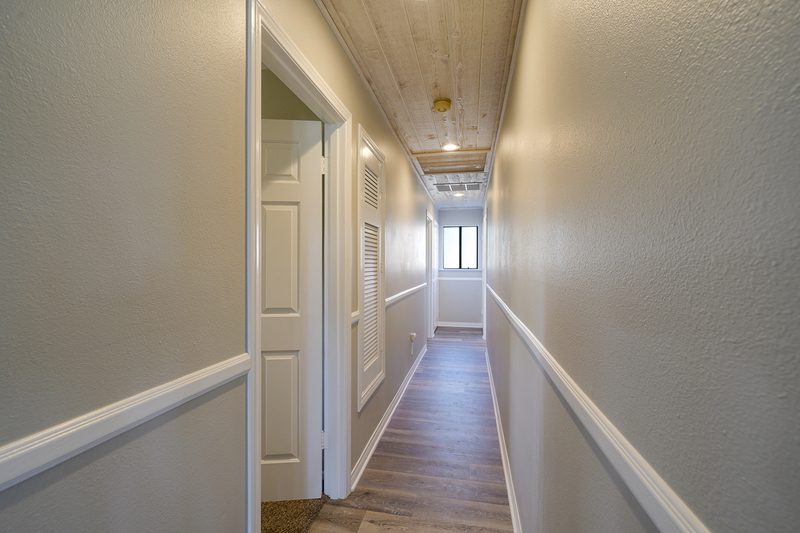 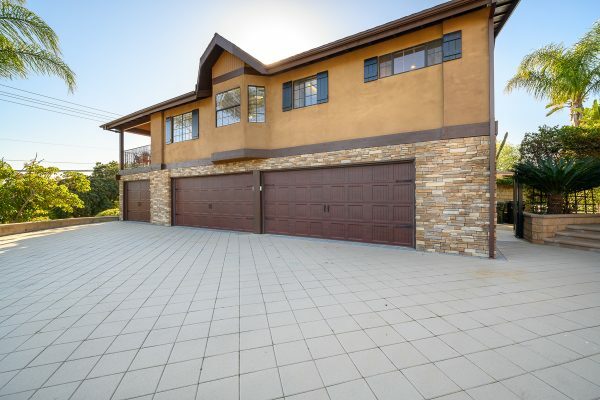 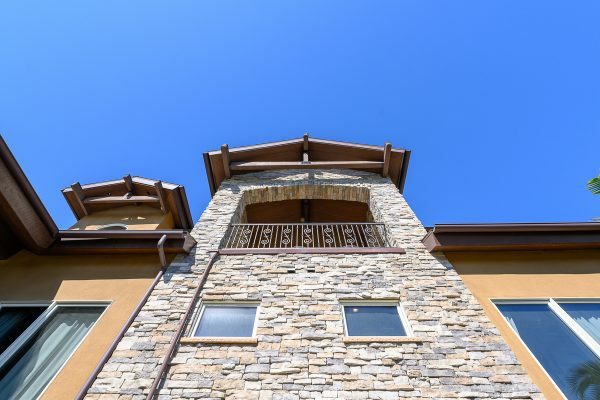 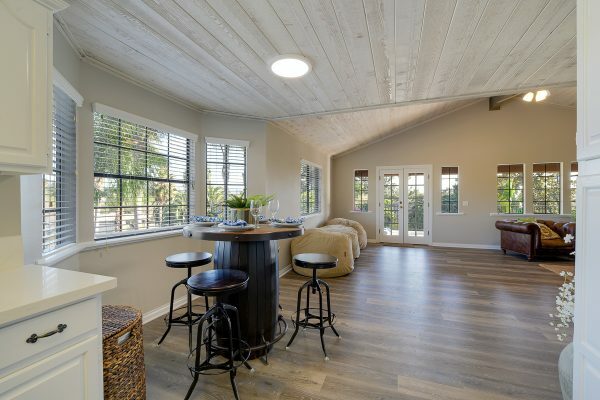 In this special home, you’ll find rich hardwood flooring, artisan wrought iron work, Travertine tile, and soaring open beamed ceilings to compliment the spaces. 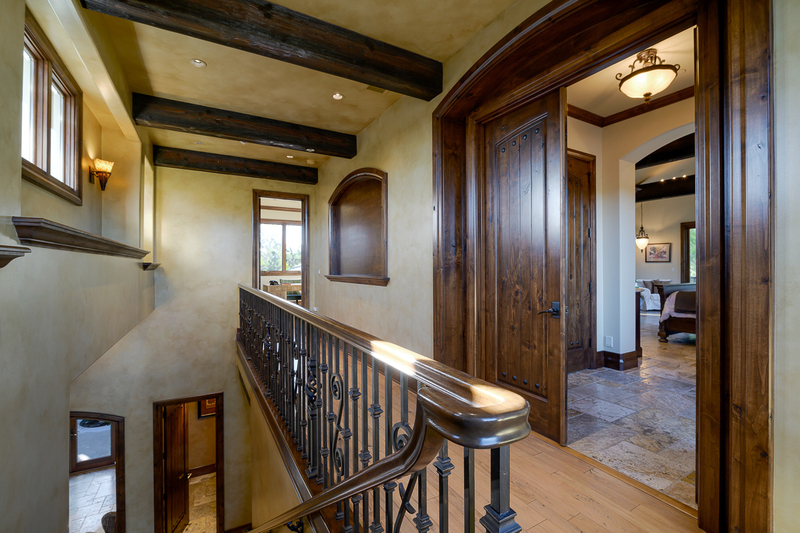 The stunning wood work throughout this home is the labor of a master craftsman and includes eight foot tall solid wood passage doors. 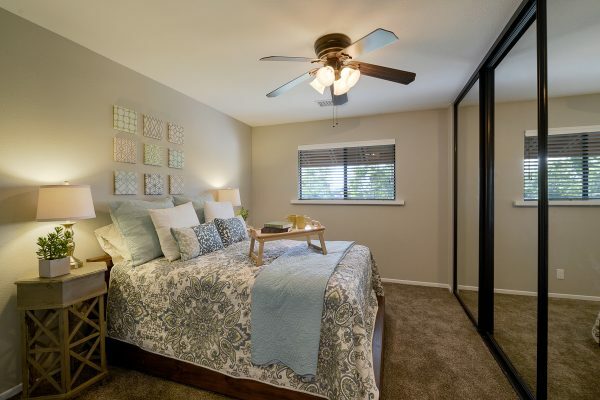 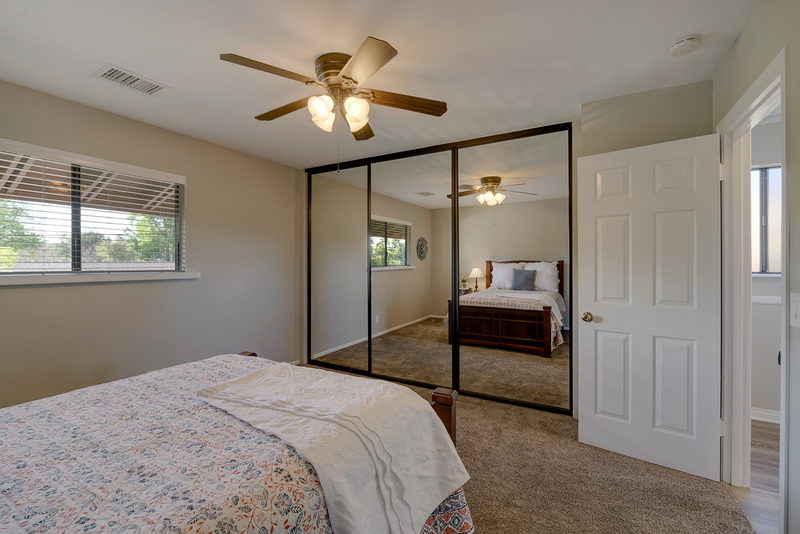 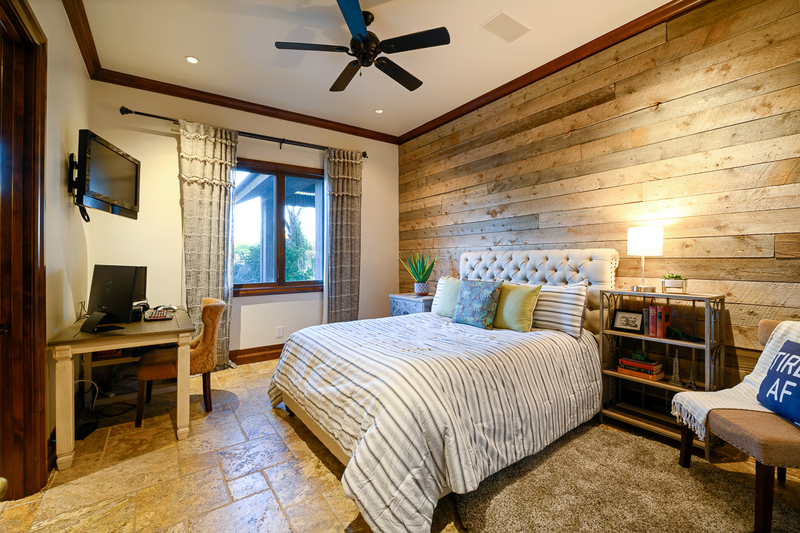 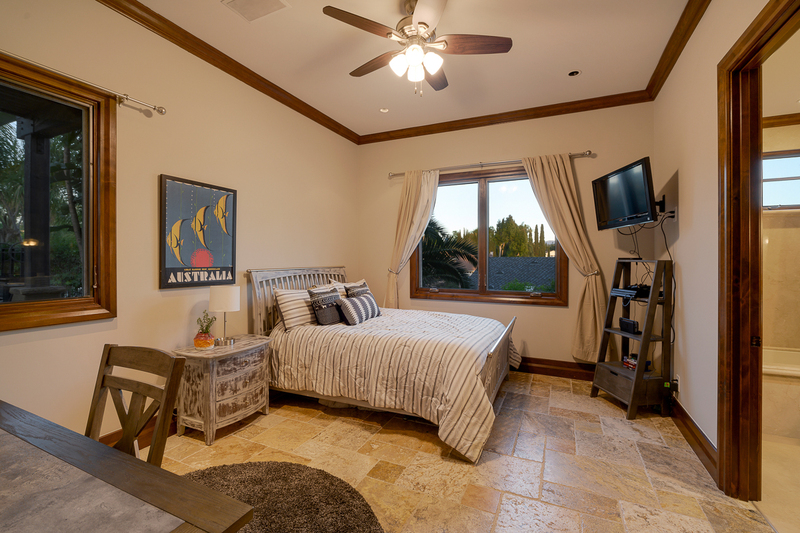 The master suite is an oasis of its own. 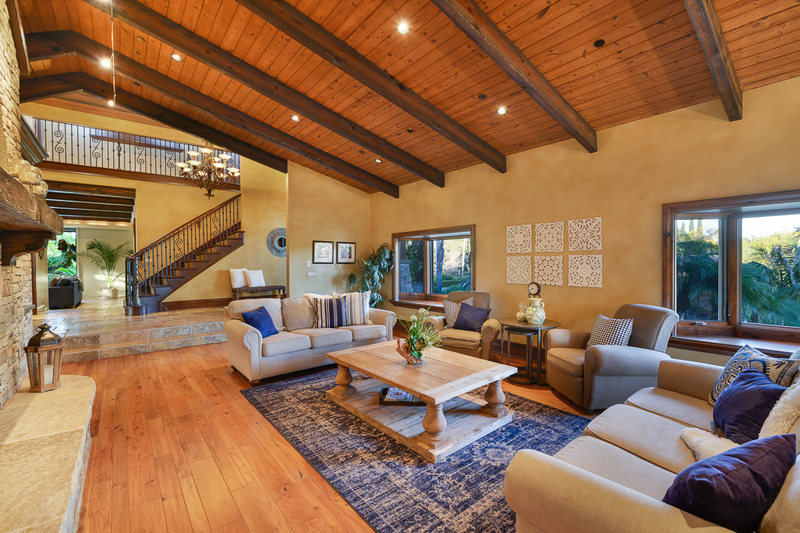 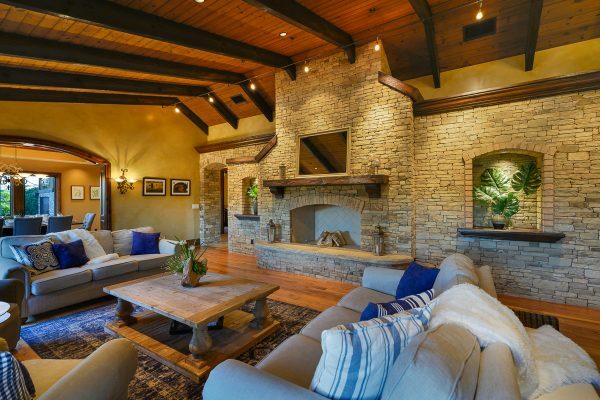 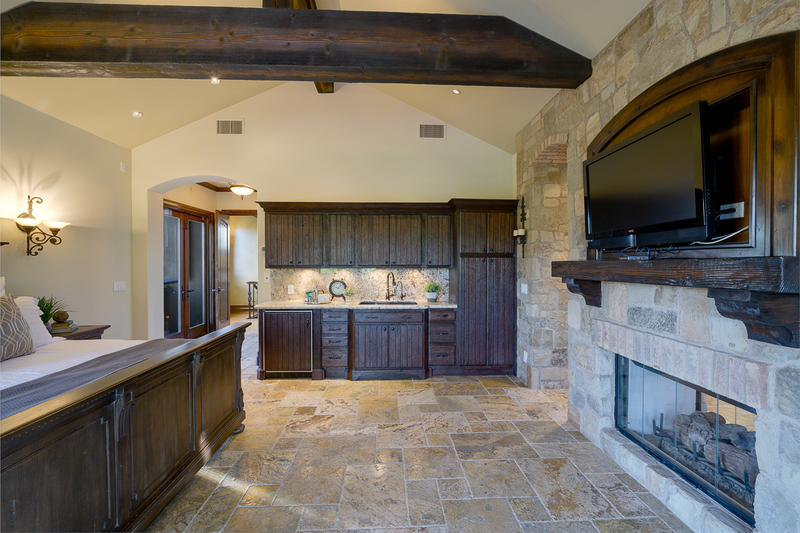 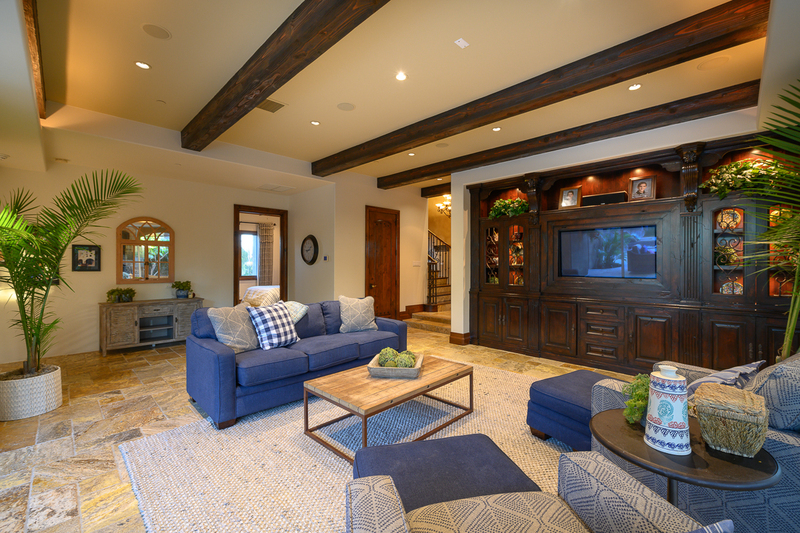 The towering ceilings and rough wood beams compliment a space that includes: Two sided stone fireplace, mini bar/kitchen, wrap around balcony with estate views, expansive walk-in closet, and a well-appointed en-suite master bathroom that has its own laundry area. 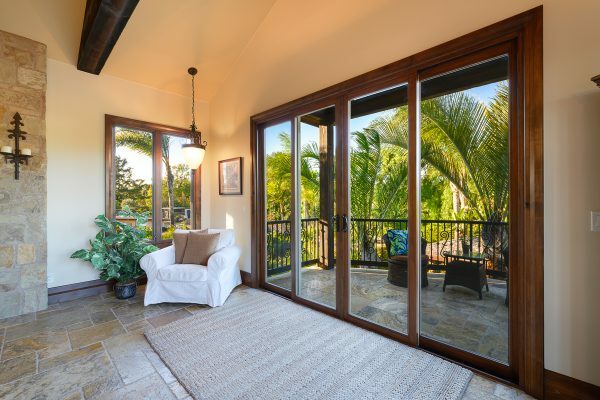 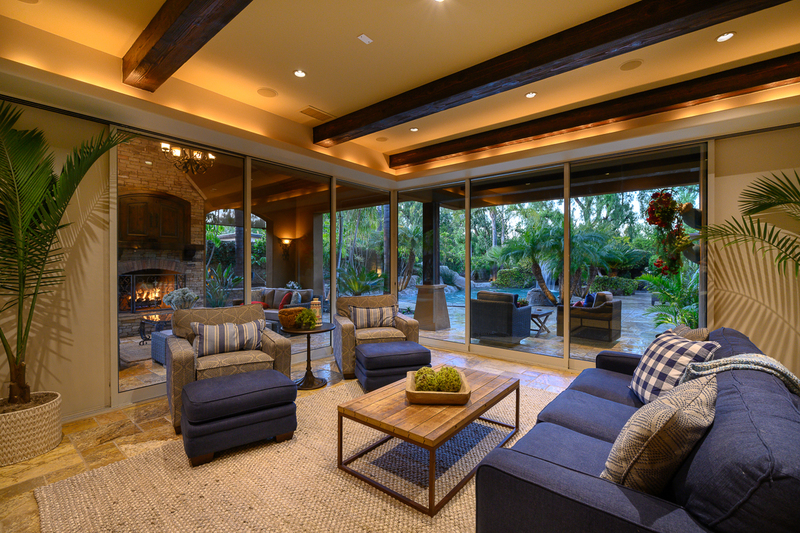 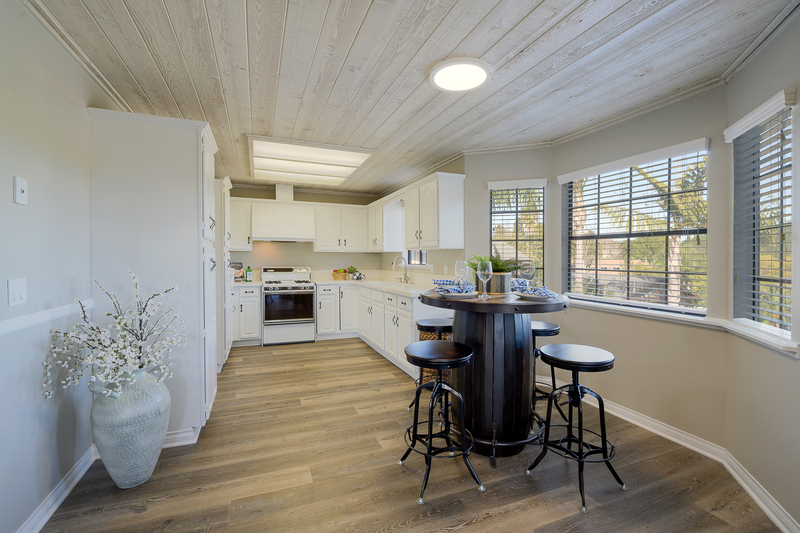 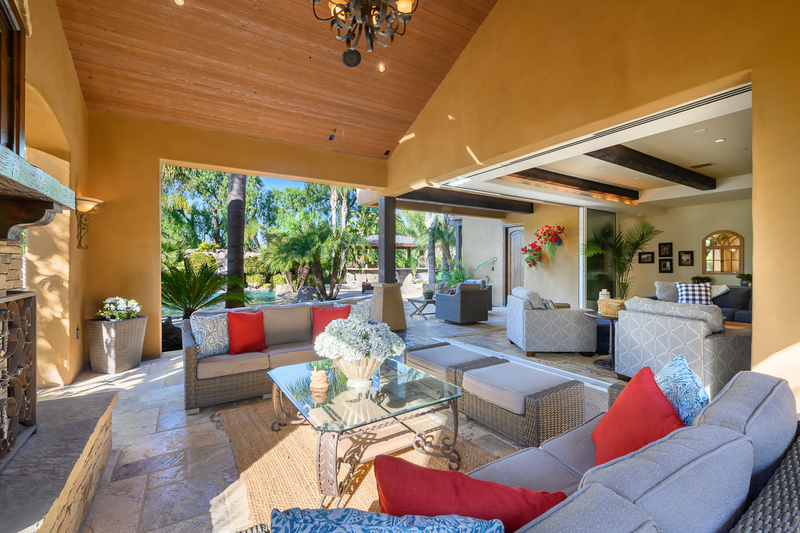 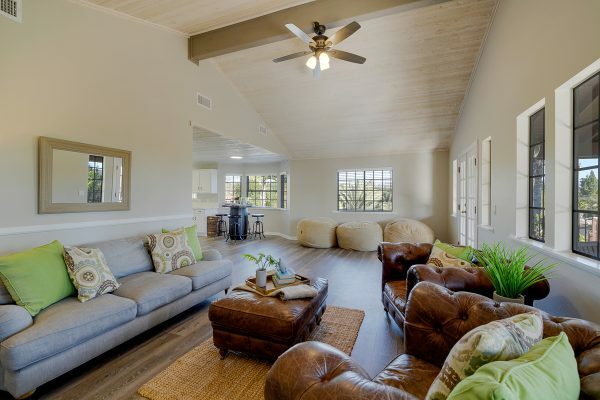 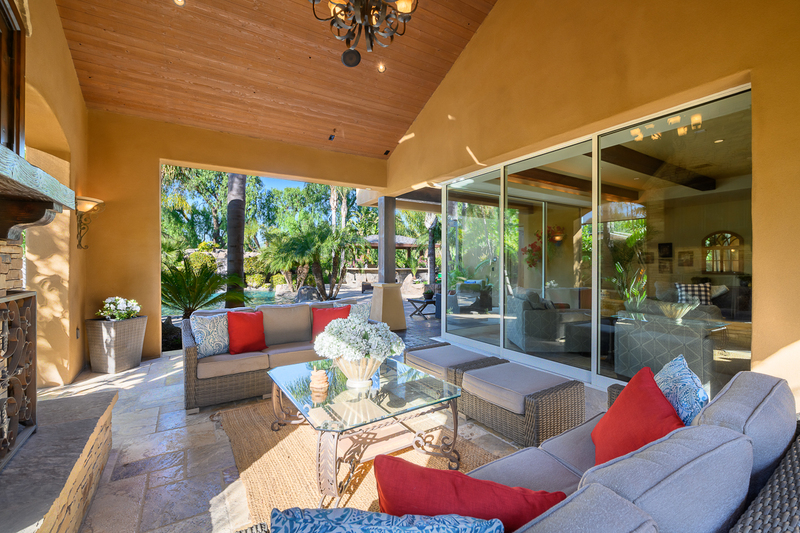 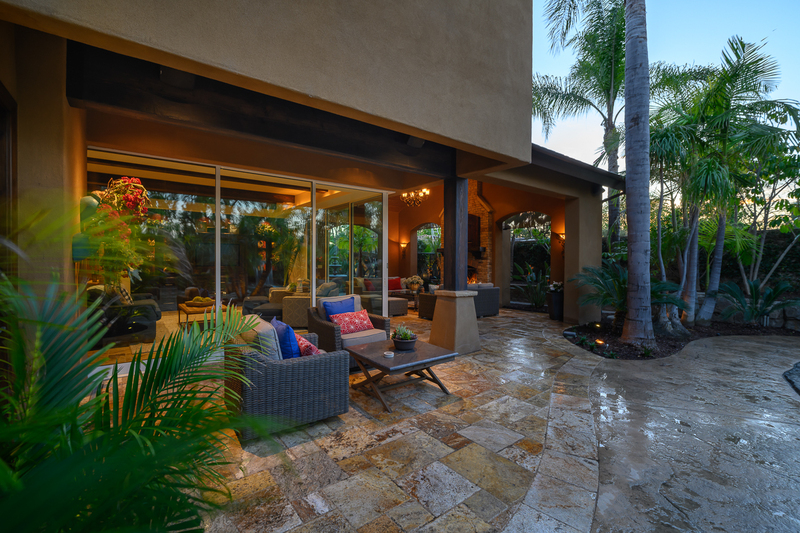 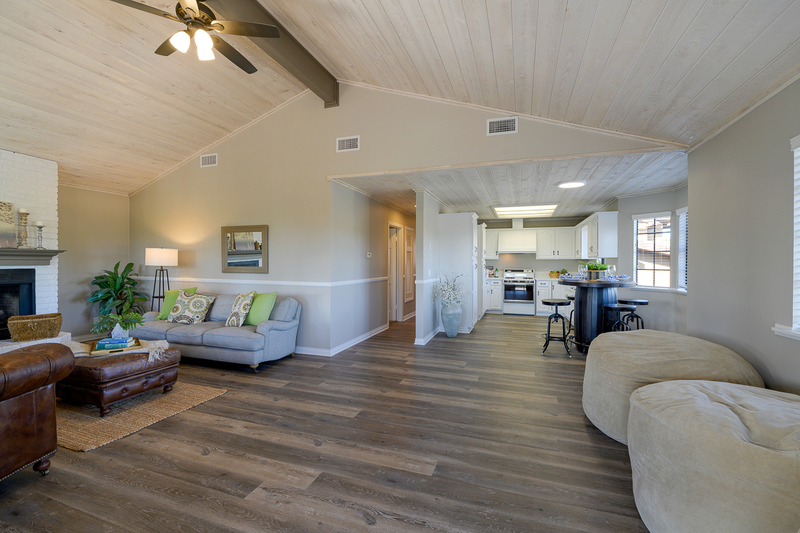 The family room includes zero-post sliding glass walls to let you truly embrace indoor-outdoor living. 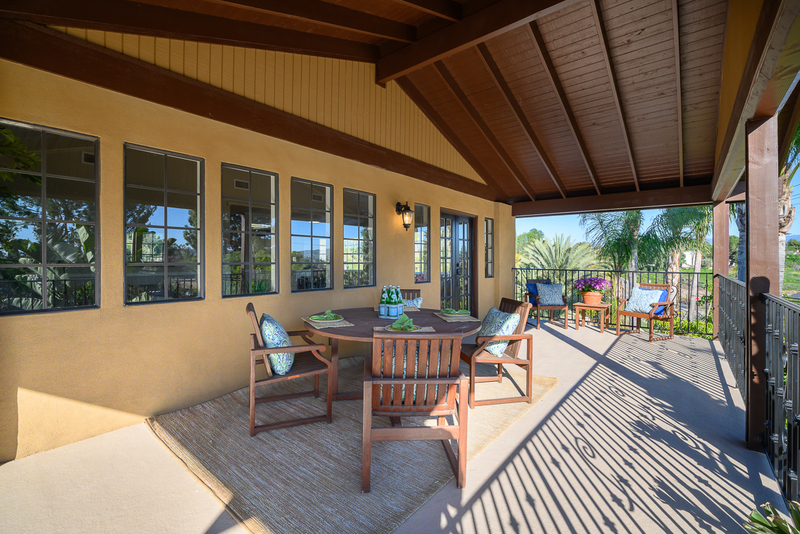 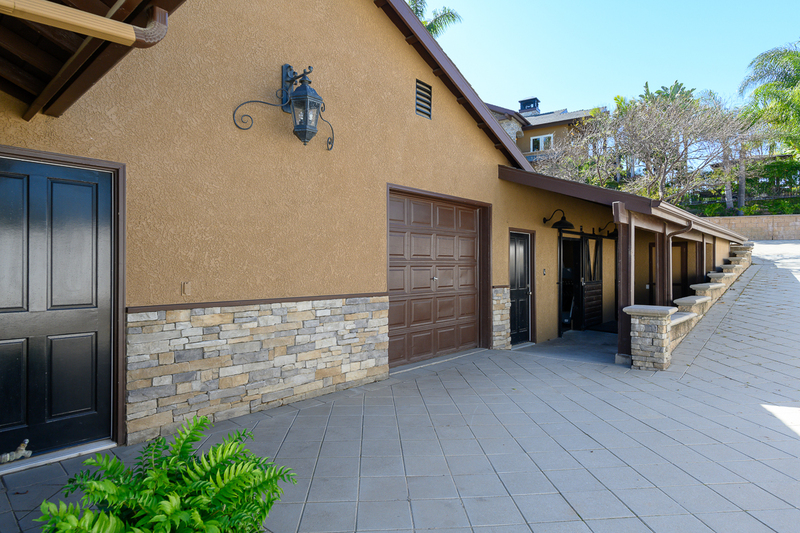 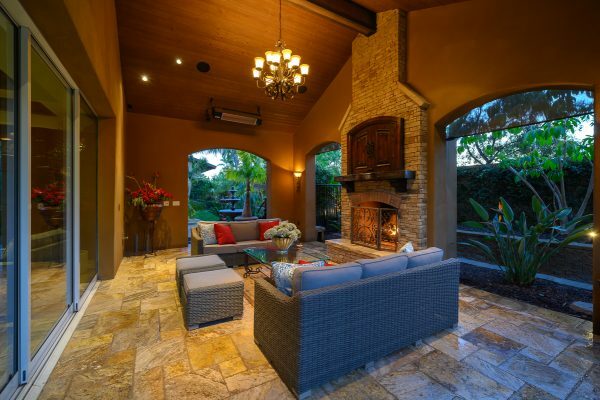 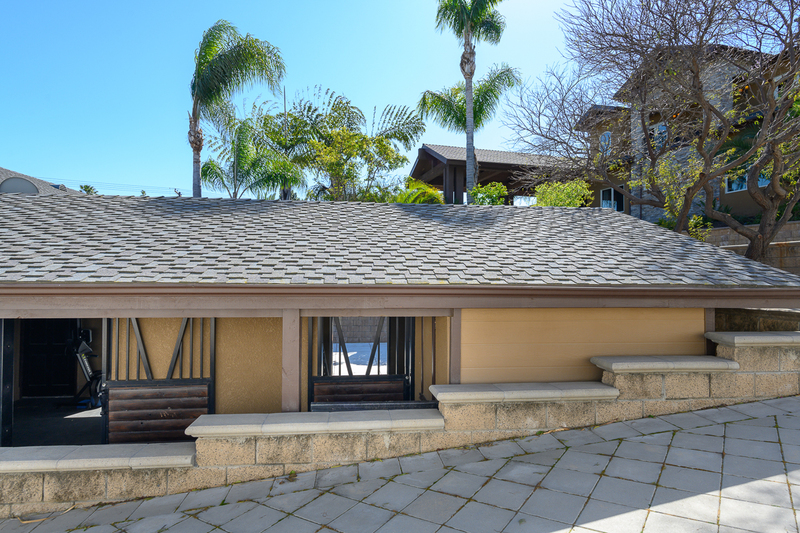 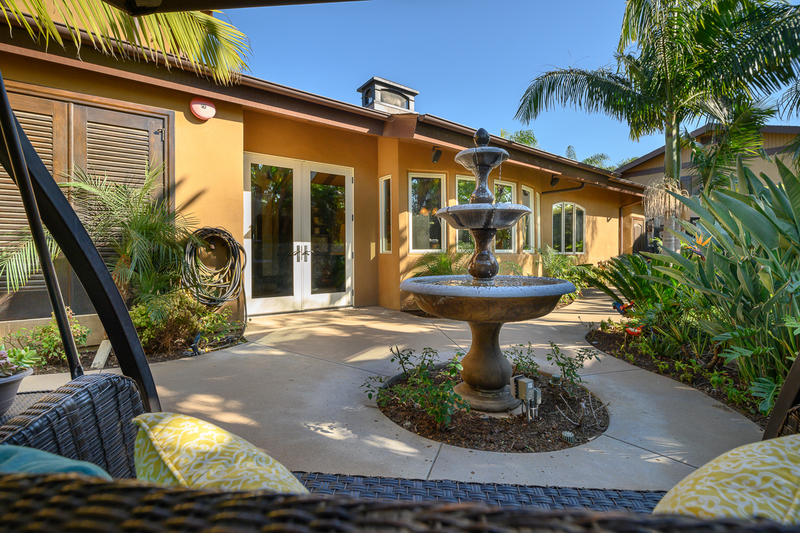 The resort like outdoor space is well appointed with a covered patio space that includes a fireplace and TV area. 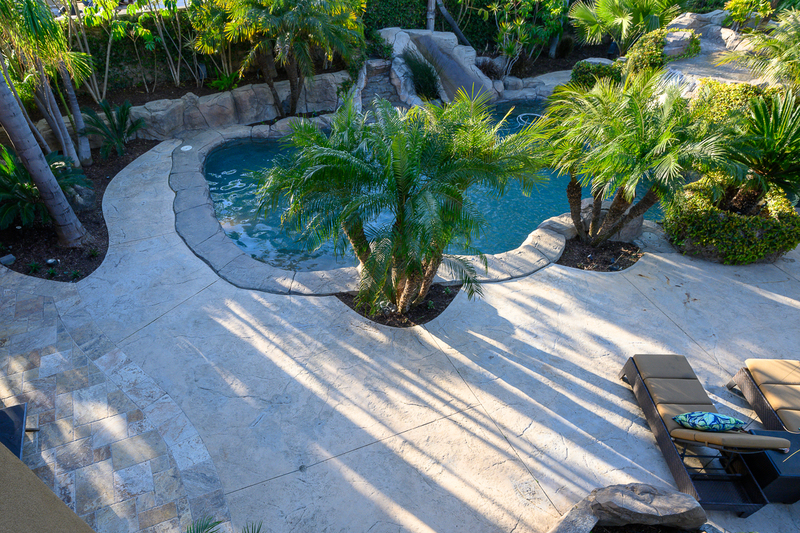 The pool area will make you feel like every day is a vacation. 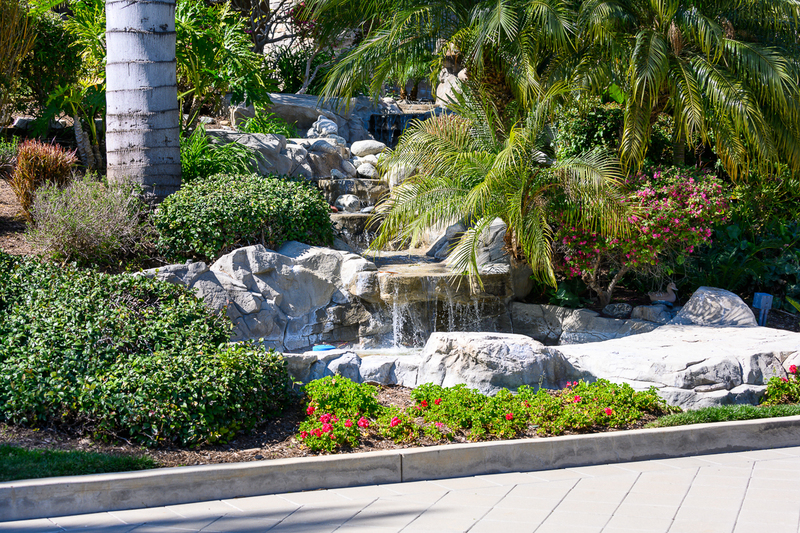 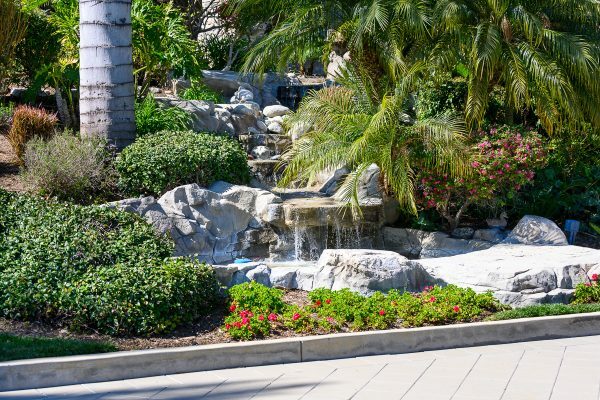 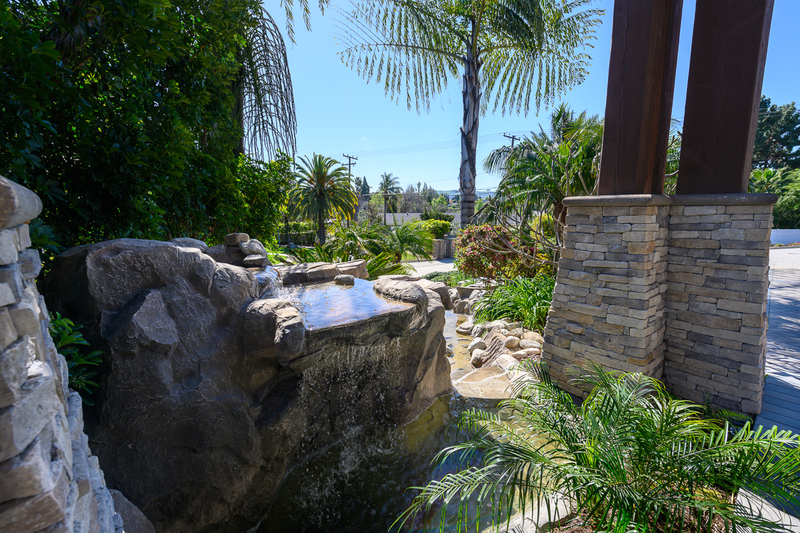 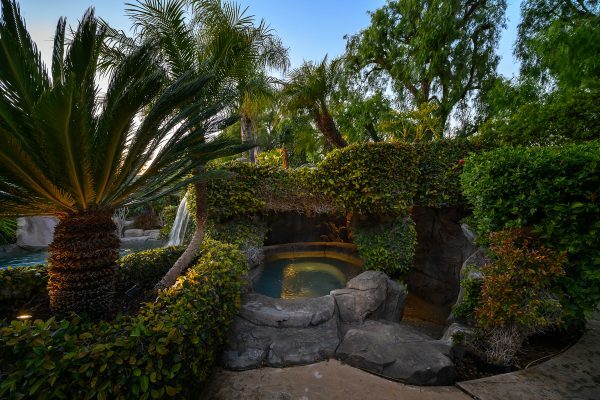 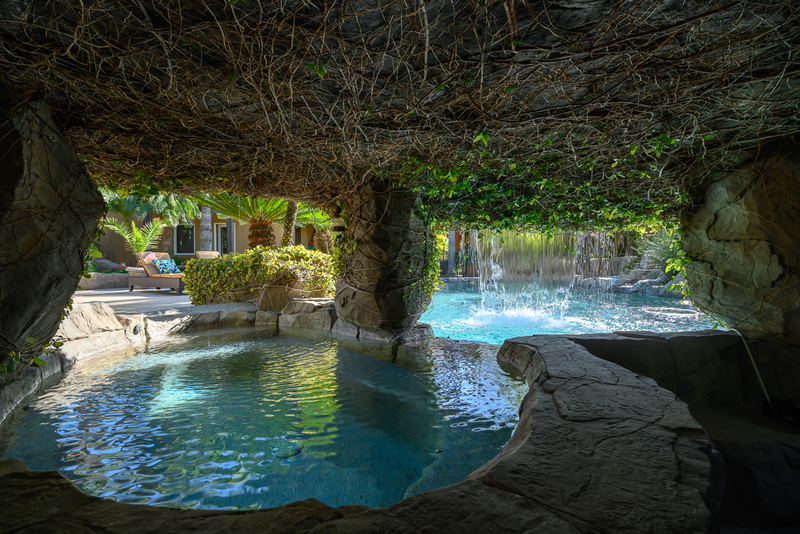 The large rock formations create a grotto for the spa and a breathtaking waterfall that fills the space with the soothing sound of running water. 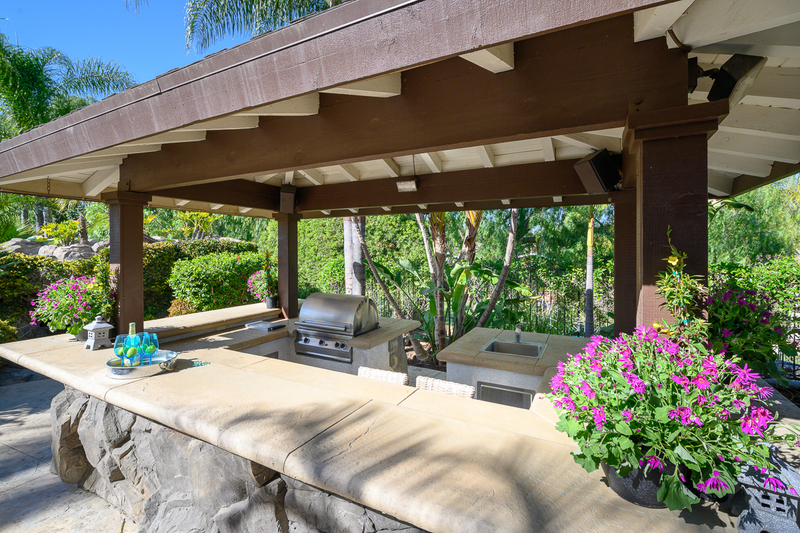 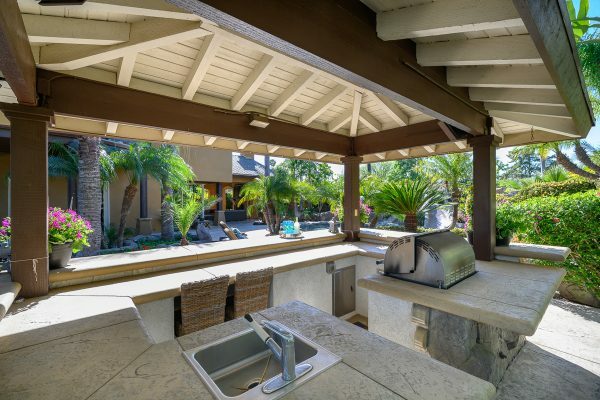 The wrap-around bar offers grilling and refrigeration appliances for an outdoor dining experience. 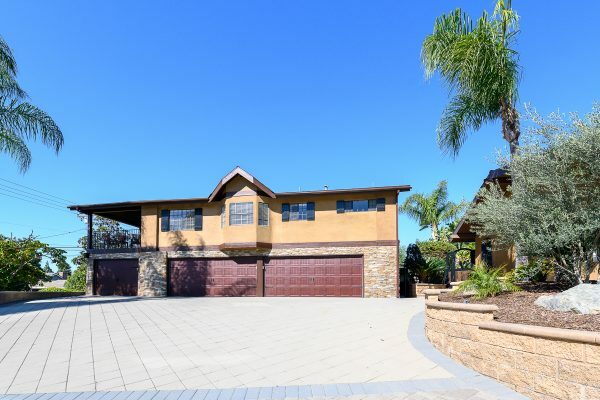 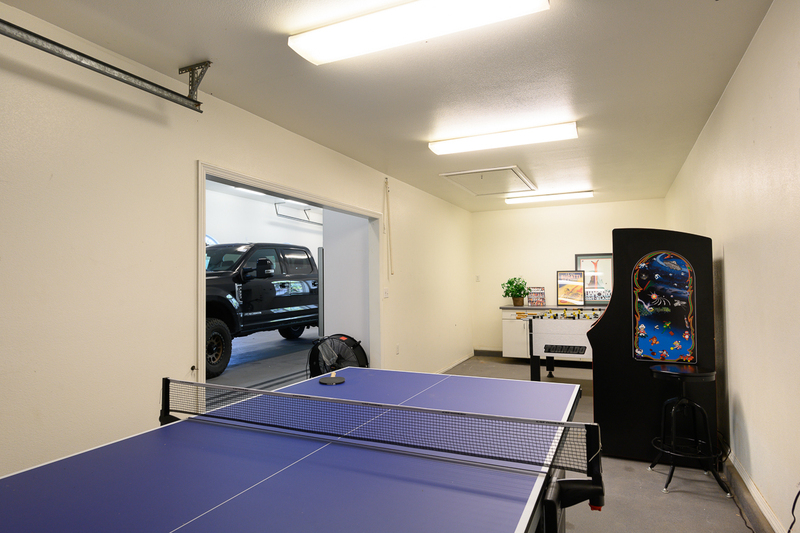 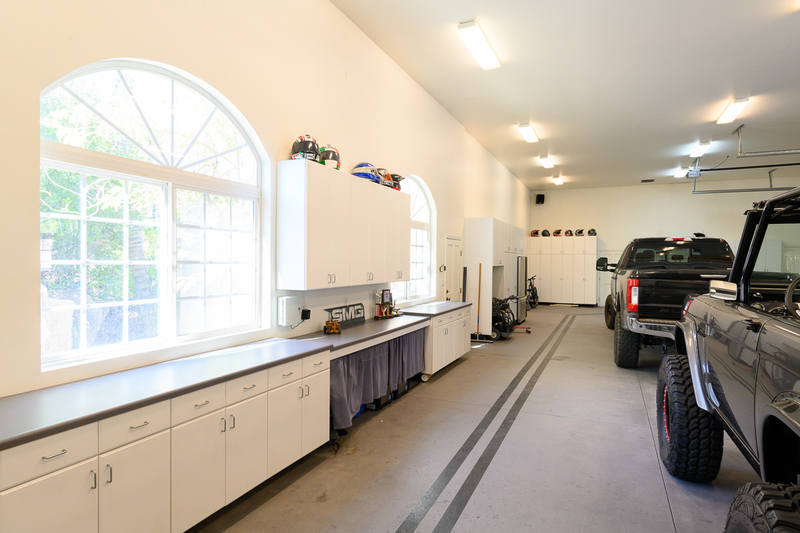 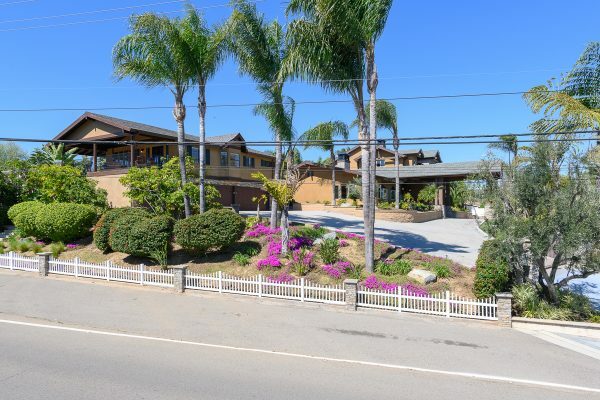 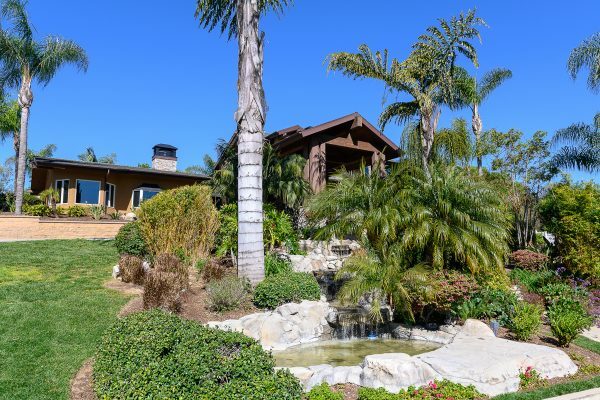 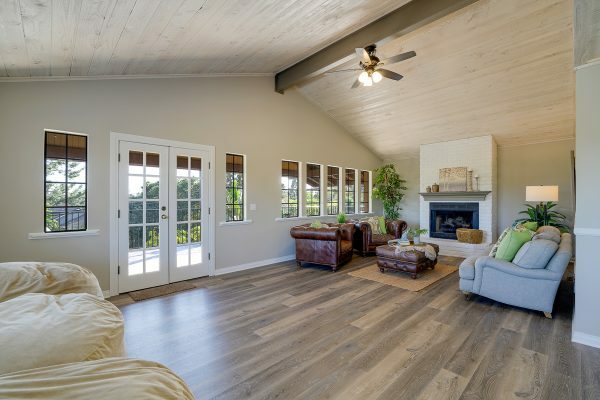 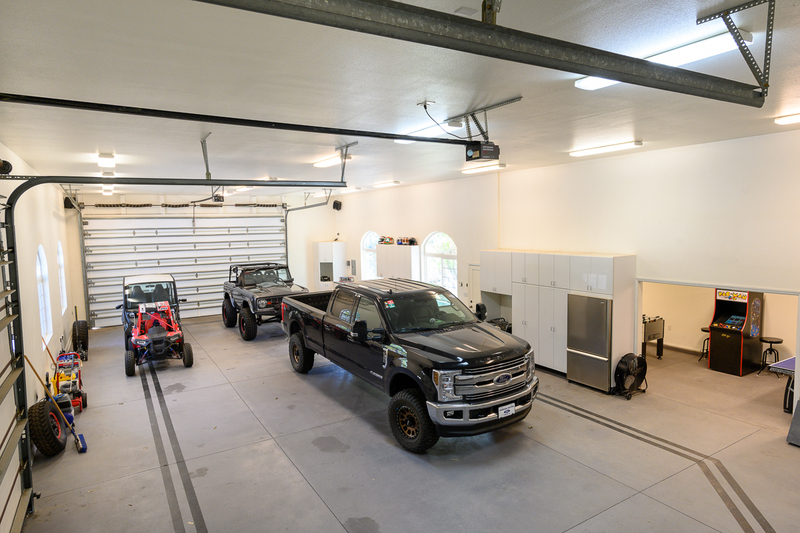 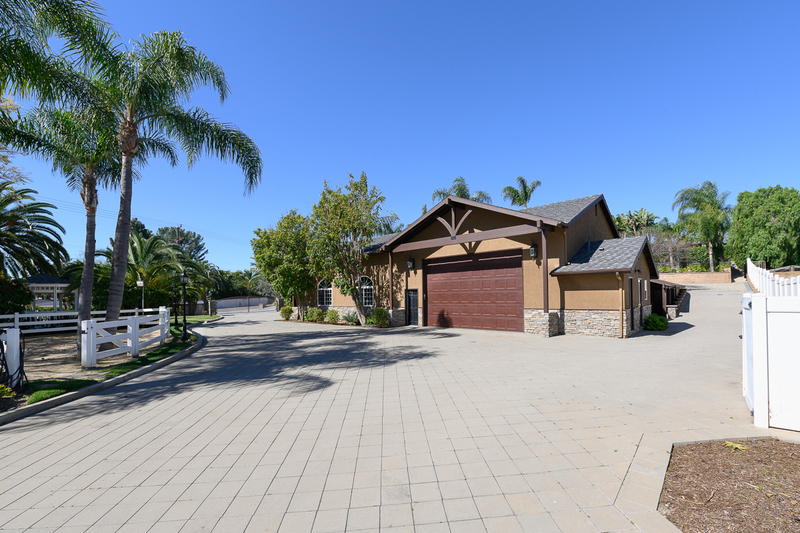 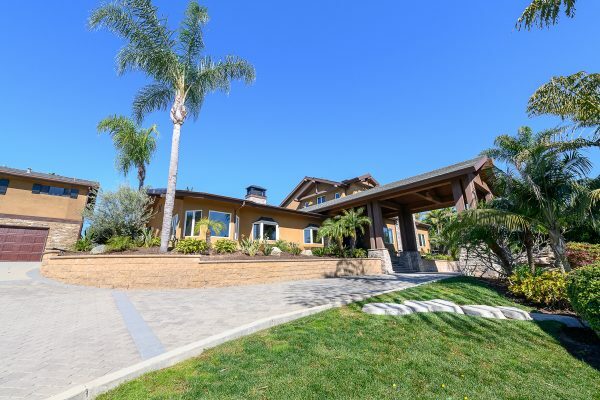 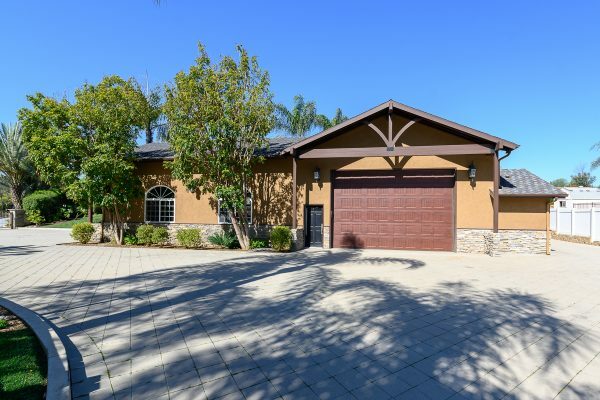 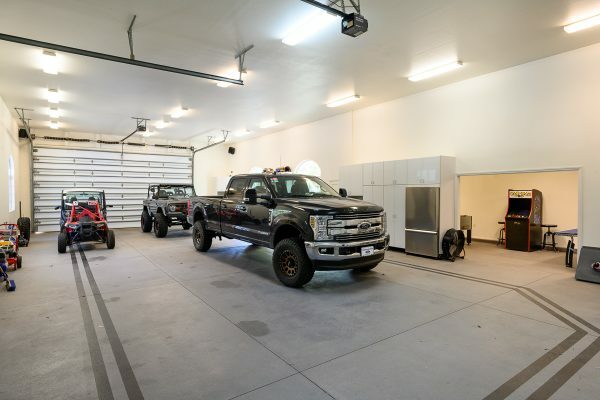 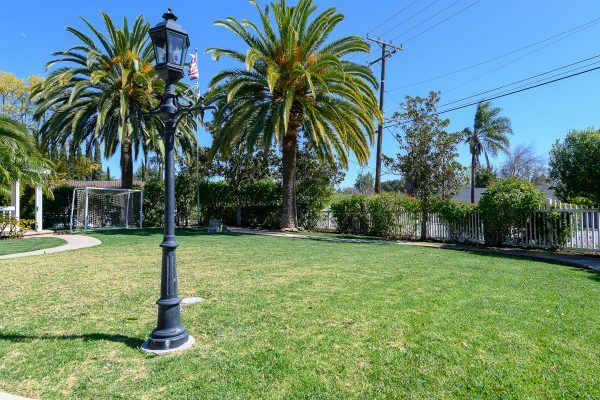 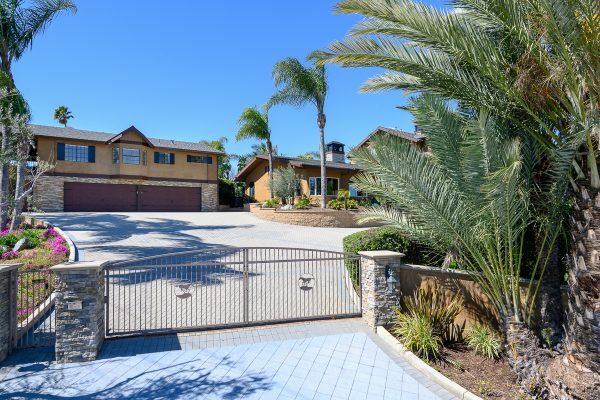 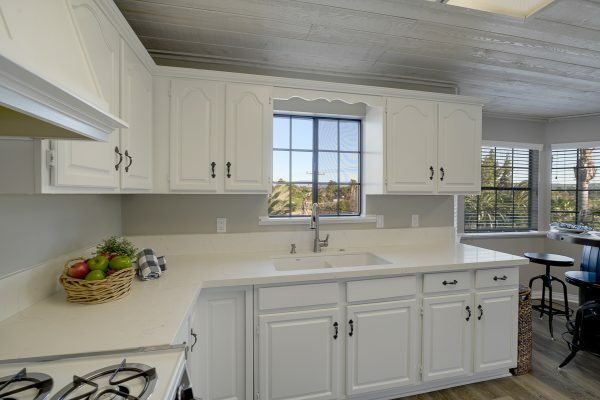 The grounds also include: A two bedroom guest house, 5-car upper garage, 2,200 square foot RV garage with 14’ high ceiling and pass-through doors, multiple lawns, stables, and a horse turnout area. 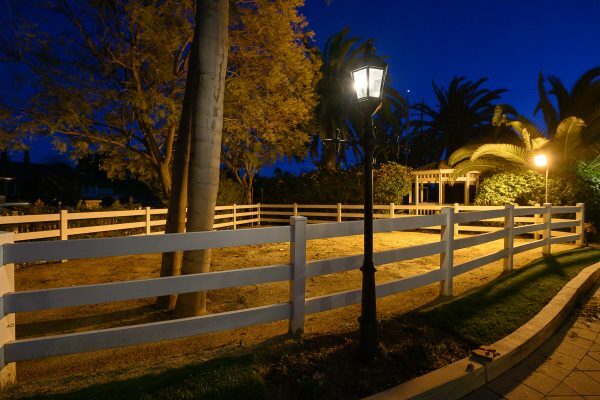 The neighborhood includes: Riding trials, parks, dining, and shopping. 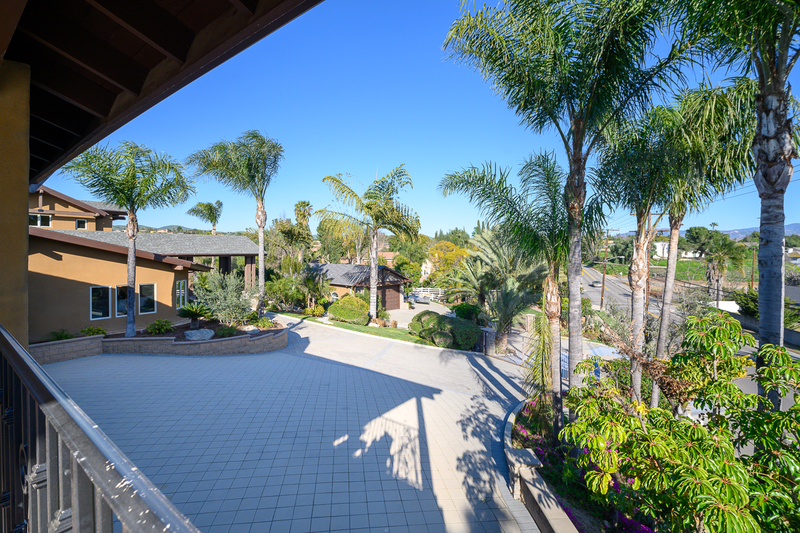 The award winning schools are: Linda Vista ES, Yorba Middle, and Esperanza HS. 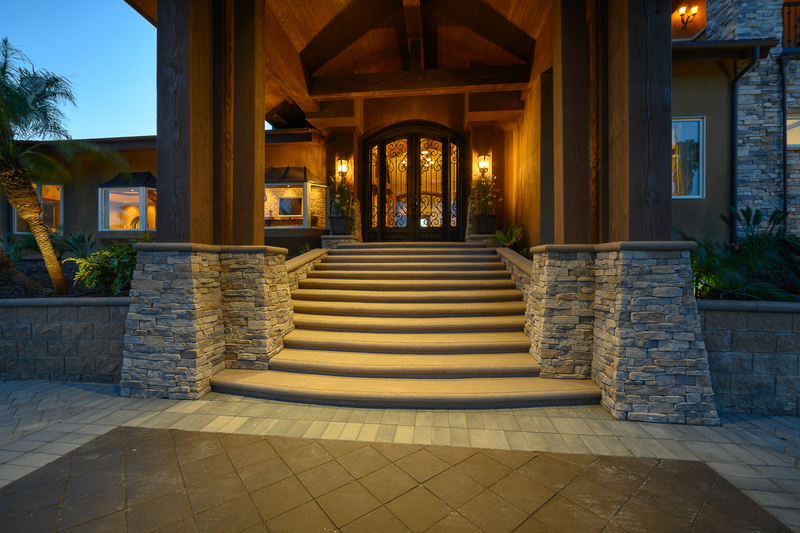 You will know you have “arrived” in your own luxury estate in the Land of Gracious Living.